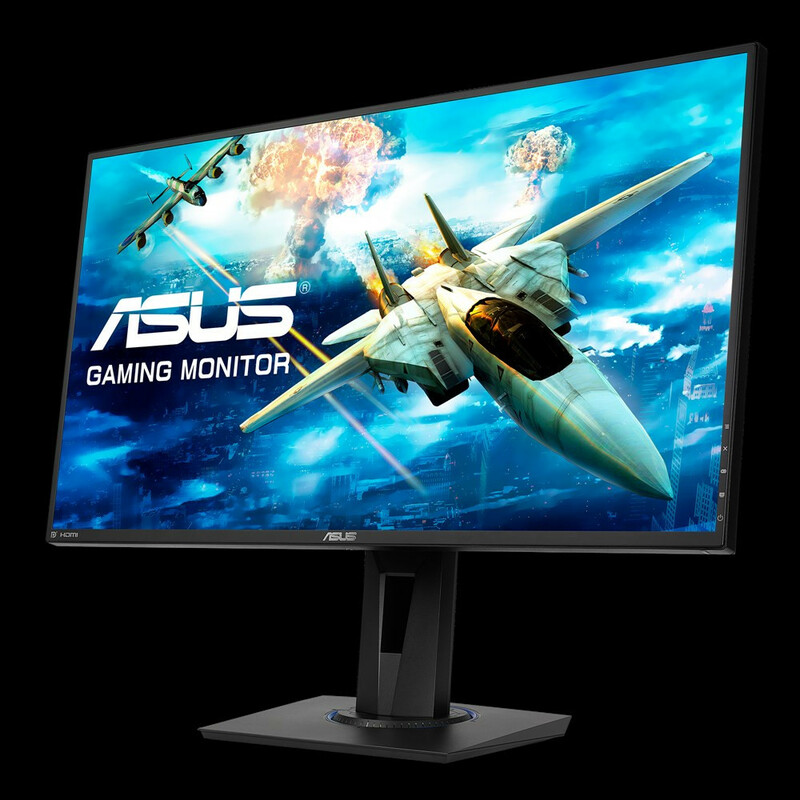 ASUS has added yet another monitor to its already long list of display solutions for customers. 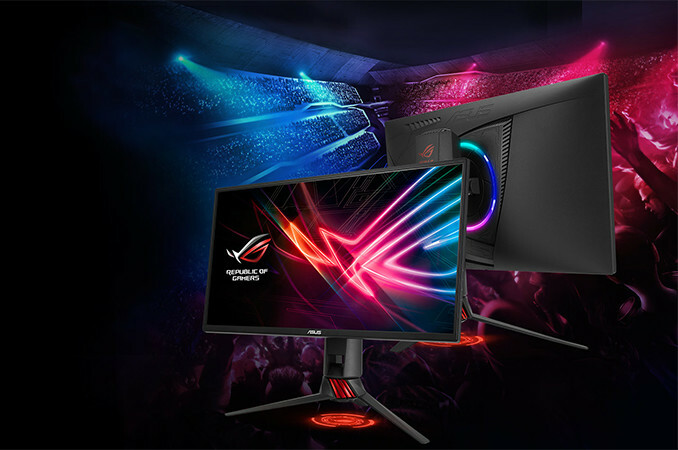 The ROG STRIX XG258Q monitor, as the "Strix" name implies, has been designed with gamers in mind, and is one of ASUS' eSports-designed offerings, promising unmatched fluidity in fast frame-rate titles with its 240 Hz refresh rate and 1 ms response time. 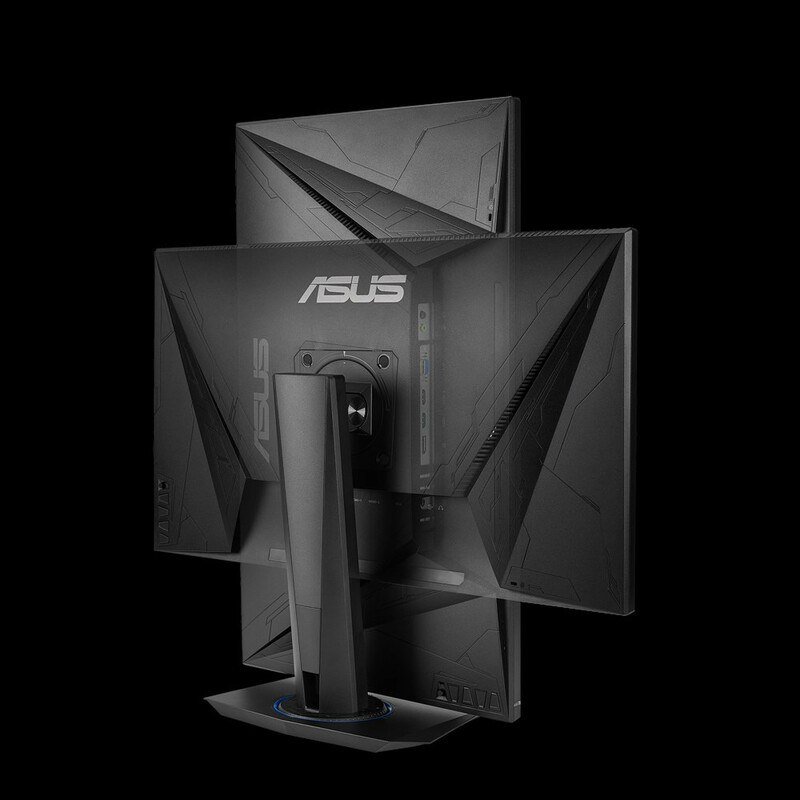 To add even more smoothness to the picture, ASUS has also fitted this Strix monitor with FreeSync support (in the 48 Hz to 240 Hz range), which means there is now another high refresh-rate solution for AMD users. 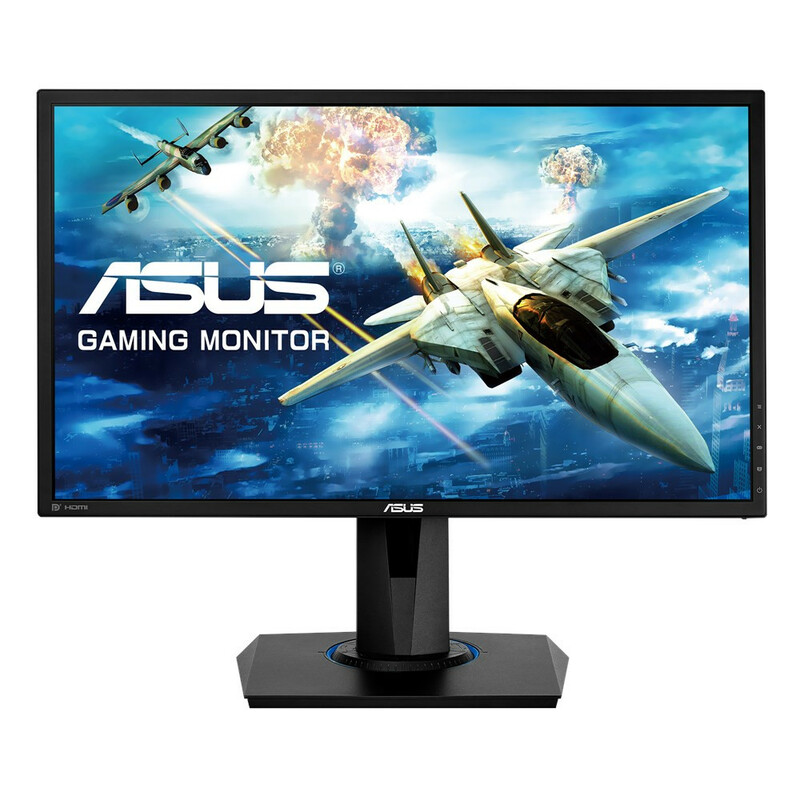 To achieve this kind of refresh rate speeds, ASUS has made use of a 1080p, TN-based panel, which will deliver better gaming performance at the cost of viewing angles and (usually) color accuracy and contrast when compared to other technologies (contrast is set at 1000:1 and the panel is a 6-bit type with FRC). 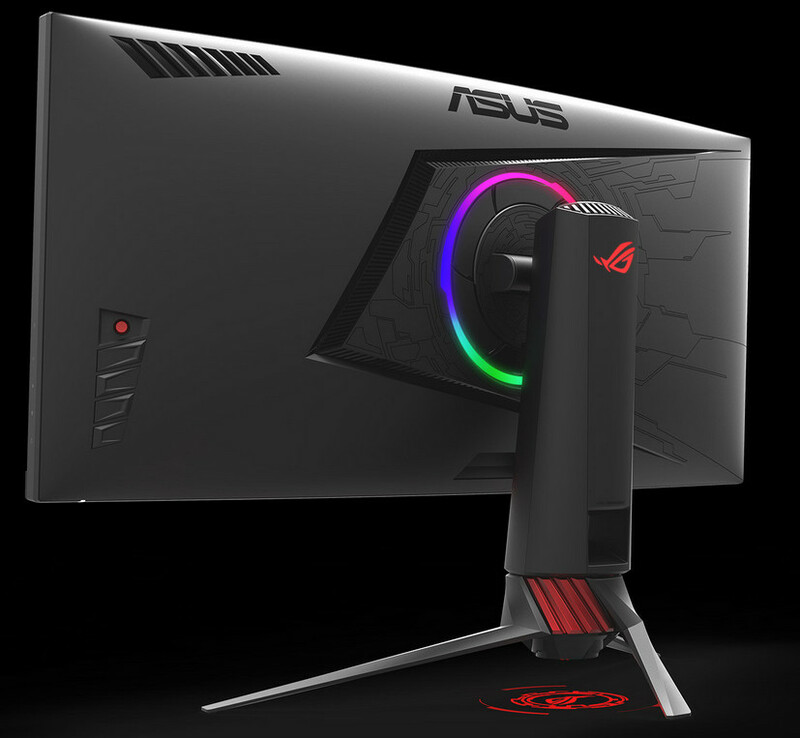 Added technologies include ASUS' ELMB (Extreme Low Motion Blur), as well as ASUS' Aura RGB lighting effects on the back of the monitor, with an added red ROG logo being projected on to the users' desk from the base of the display. 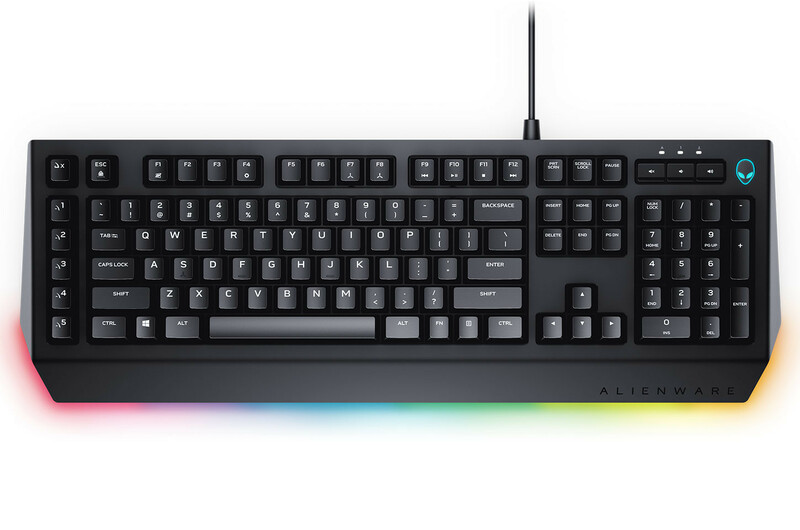 Brightness is being touted at a higher than average 400 nits, but there's no mention of HDR support. Connectivity includes 1x HDMI 1.4 (refresh rates up to 140 Hz), 1x HDMI 2.0, and 1x DisplayPort 1.2. 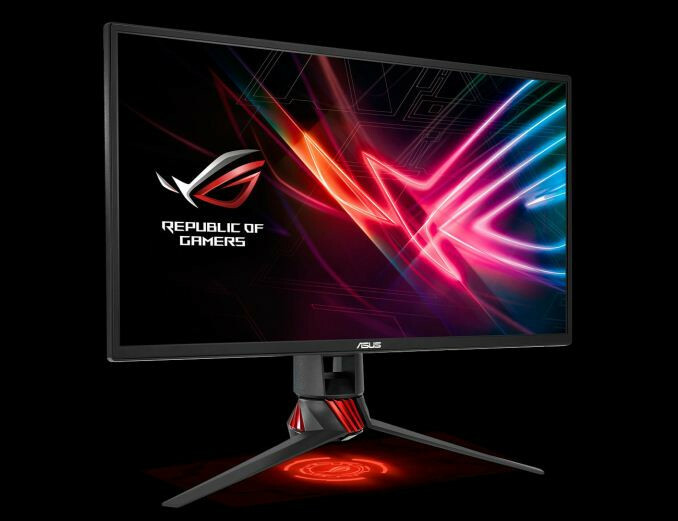 The ASUS ROG Strix XG258Q is available for $449, which is slightly more than $50 cheaper than the current market price of the ROG Swift PG258Q, which substitutes FreeSync for NVIDIA's G-Sync. 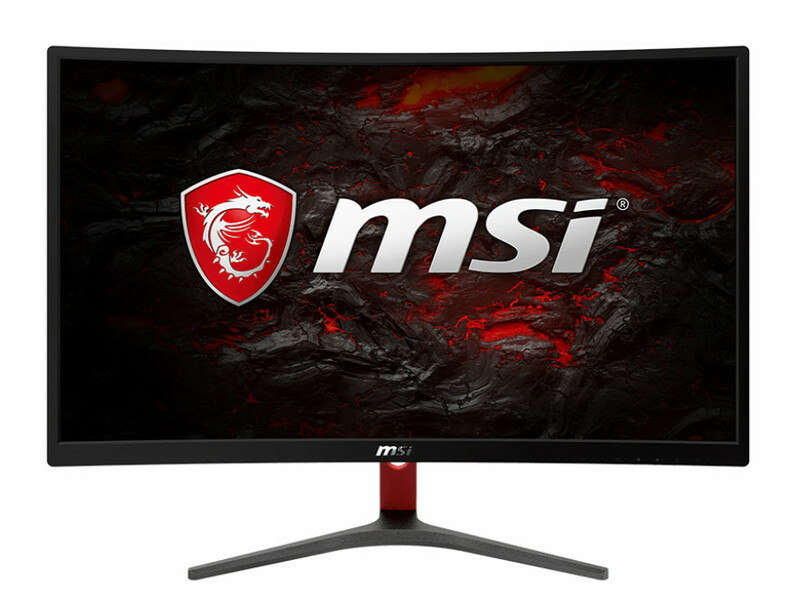 MSI today introduced the Optix MAG24C, a 24-inch curved gaming-grade monitor, which could be the company's most affordable. 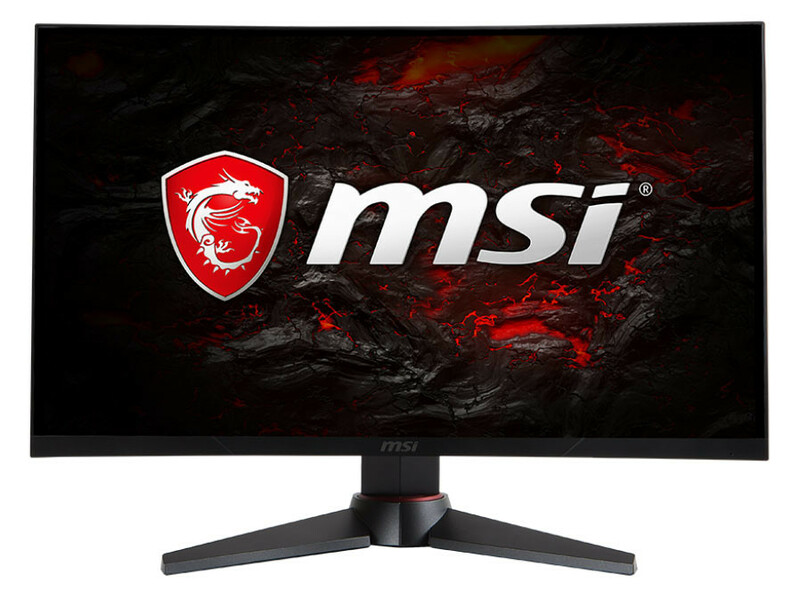 Its Full HD (1920 x 1080 pixels) resolution may not be much to write home about in 2017, but bolstering it gaming-grade credentials are its 144 Hz refresh-rate, and 1 ms (GTG) response-time, and support for AMD FreeSync technology. It also features OSD crosshairs, FPS counters, and display presets specific to game genres. 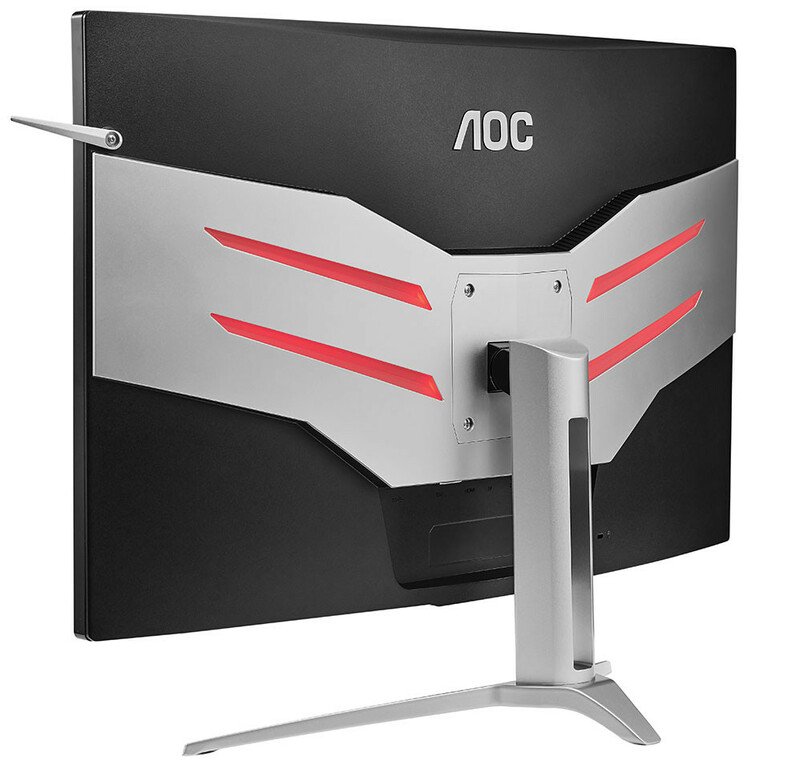 The Optix MAG24C is based on a VA (vertical-alignment) display panel, with 1800R curvature, 178°/178° viewing-angles, 110% sRGB coverage, 250 cd/m² maximum brightness, and 3,000:1 static contrast-ratio (with dynamic mega-contrast). A blue-light reduction mechanism, and flicker-free brightness control, complete its panel-specific features. 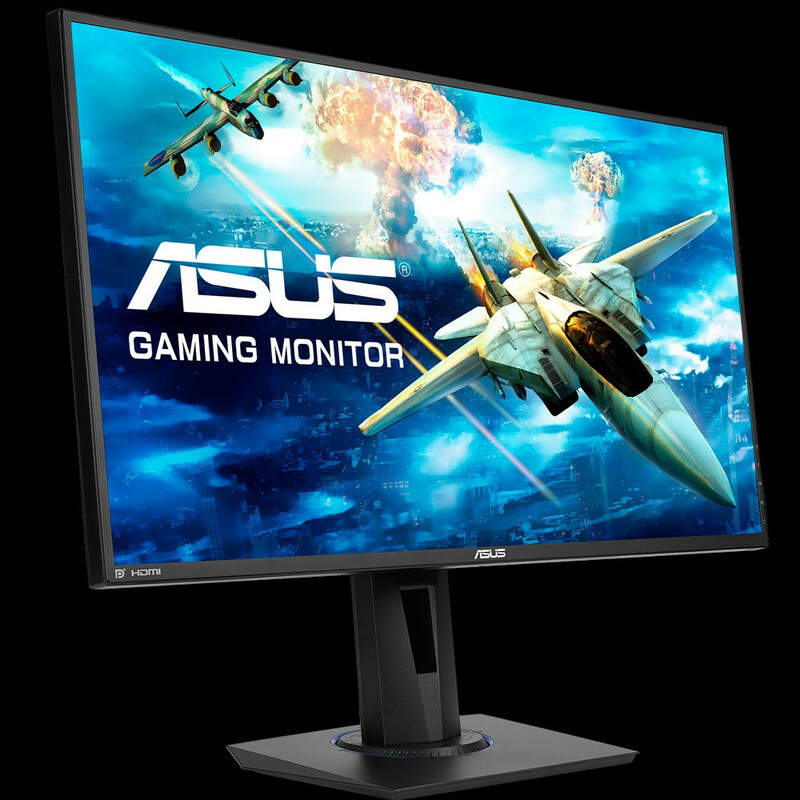 The monitor takes input from DisplayPort 1.2a (needed for 144 Hz and FreeSync), HDMI 1.4a, and DVI. Its stand allows tilt and height adjustments. The company didn't reveal pricing. 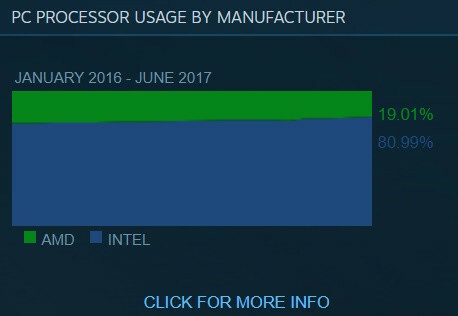 AMD's Ryzen CPUs have come out of the gates swinging, and have maintained that momentum still. Besides democratizing core-counts and SMT (Simultaneous Multi-Threading), these AMD chips brought about a revolution of sorts for AMD's CPU power efficiency, with Ryzen frequently going up against Intel's solutions - and even besting them frequently in this area. As such, that the Zen architecture would make its way to laptops was only a matter of engineering, design and testing - which usually translate to time. 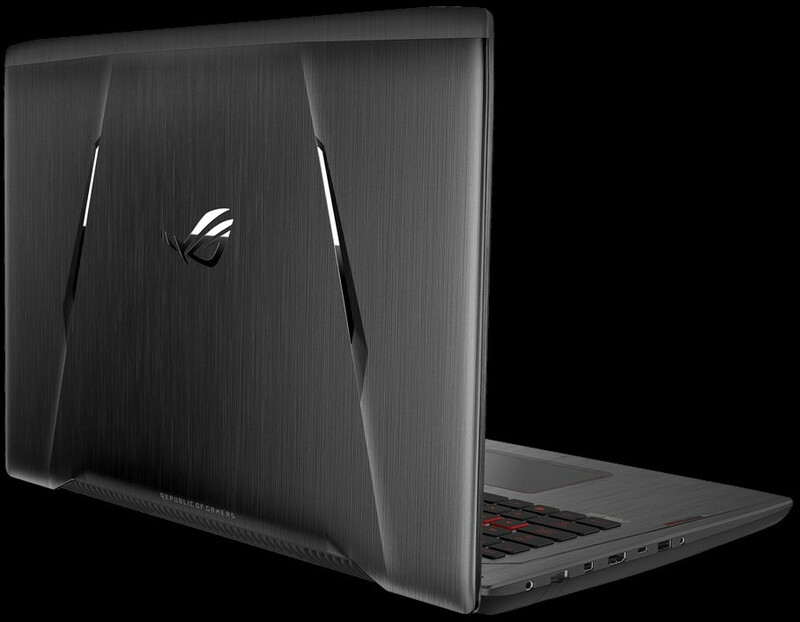 Ever since we reported ASUS was working on a Ryzen 7-powered laptop, the folks at ASUS have been working on it. 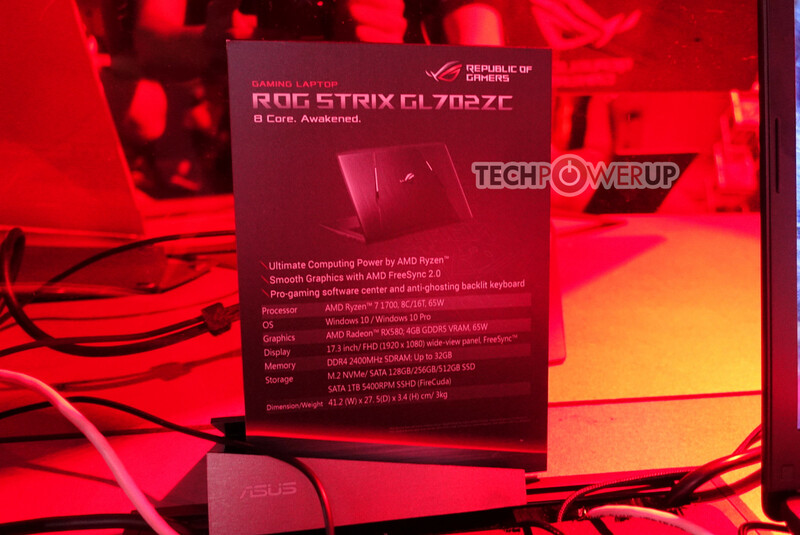 And now, they've finally introduced the ROG STRIX GL702ZC. 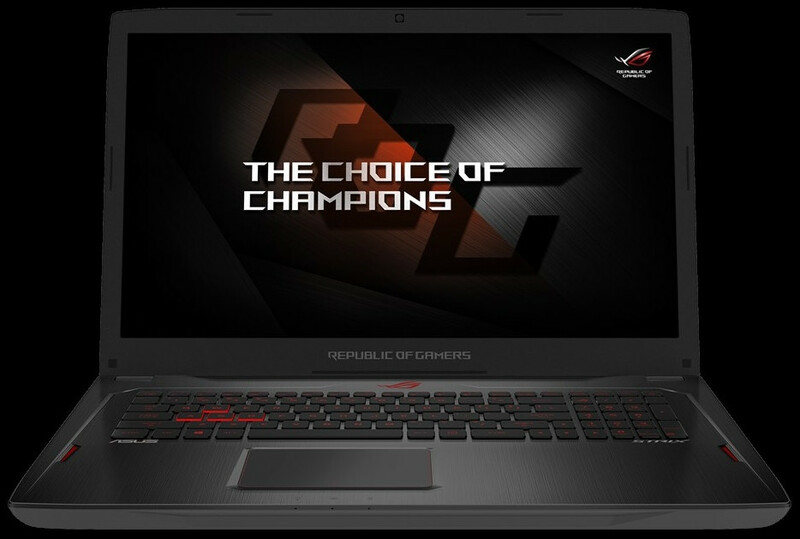 The ROG STRIX GL702ZC is the world's first Ryzen 7-powered laptop, and marks the beginning of the end for AMD as the "budget" option when it comes to mobile solutions, with lower ASP of products based on AMD's platform justifying sometimes horrendous specs and configurations. 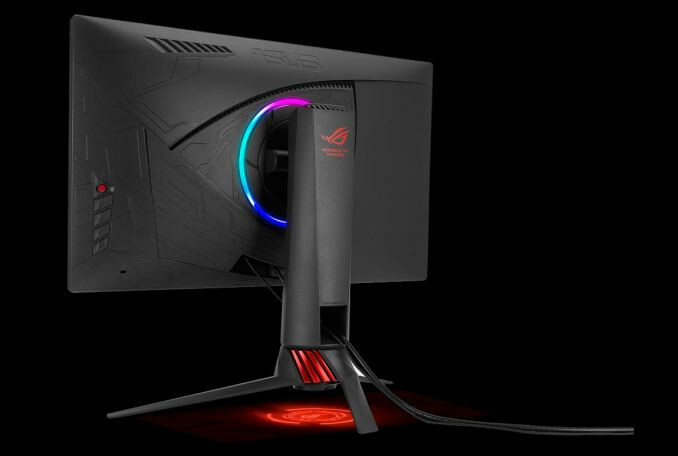 The ROG STRIX GL702ZC features a 17.3" FHD IPS anti-glare display with FreeSync, driven by a Ryzen 7 1700 CPU paired with AMD Radeon RX580 graphics (the 4GB VRAM version) and 16 GB of DDR4 memory (expandable up to 32GB). 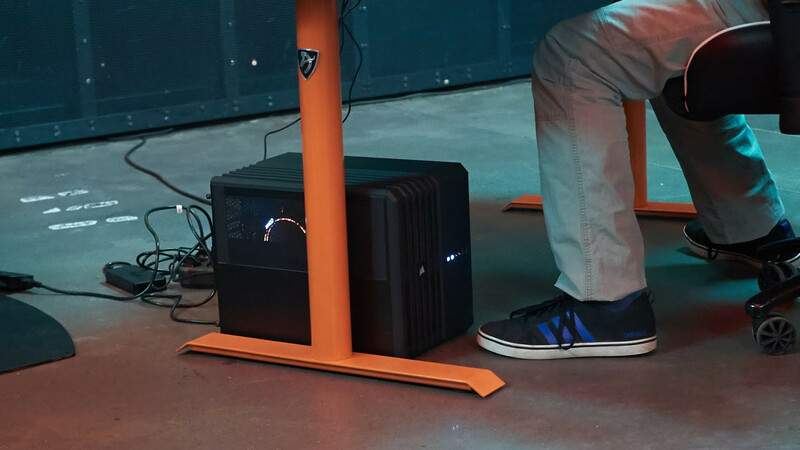 The system can be further configured with an M.2 SSD (up to 256 GB) and/or an up to 1 TB , 5,400 RPM HDD. 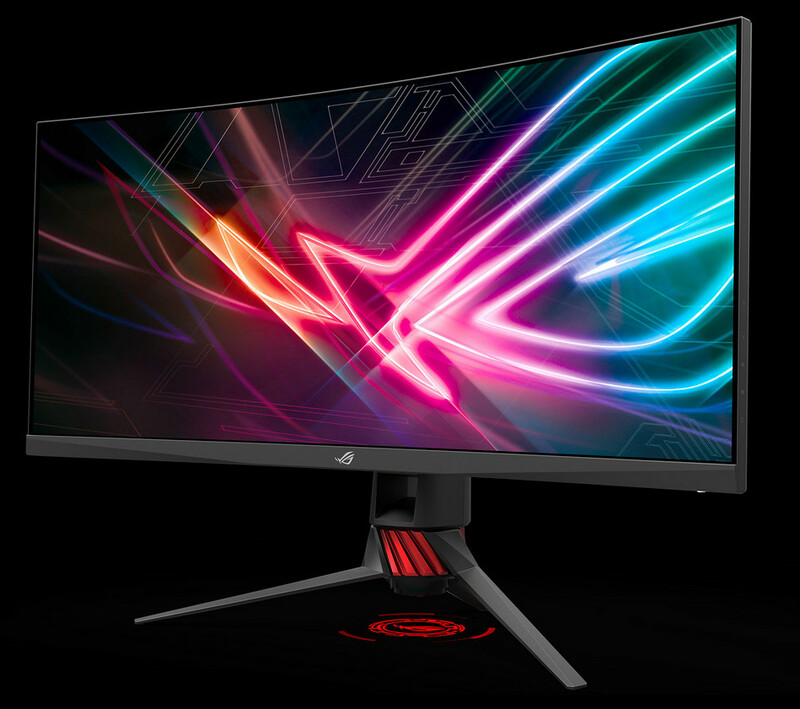 ASUS has introduced a new ROG Strix monitor to its lineup, the XG35VQ, which brings with it UWQHD resolution (3440 x 1440) in a 21:9 aspect ratio and a 35" diagonal. It's a curved affair - 1800R at that - and ASUS says the VA panel offers 100% sRGB coverage, plus 2500:1 contrast and 300 cd/m2 brightness. Viewing angles stand at an almost perfect 178° - a standard spec in recent times. 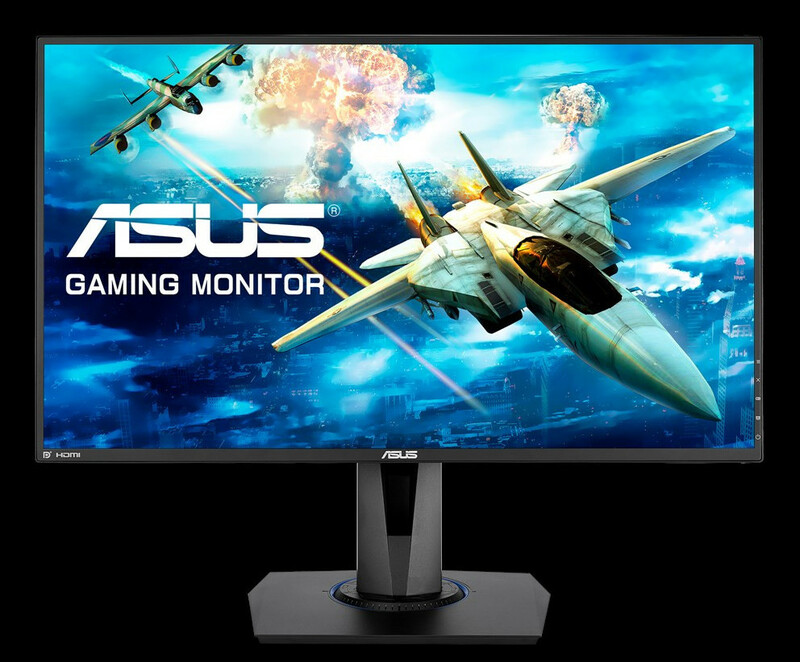 The most interesting selling point for this monitor, however, is that it can deliver a 100 Hz refresh rate, with FreeSync support up to that frequency. 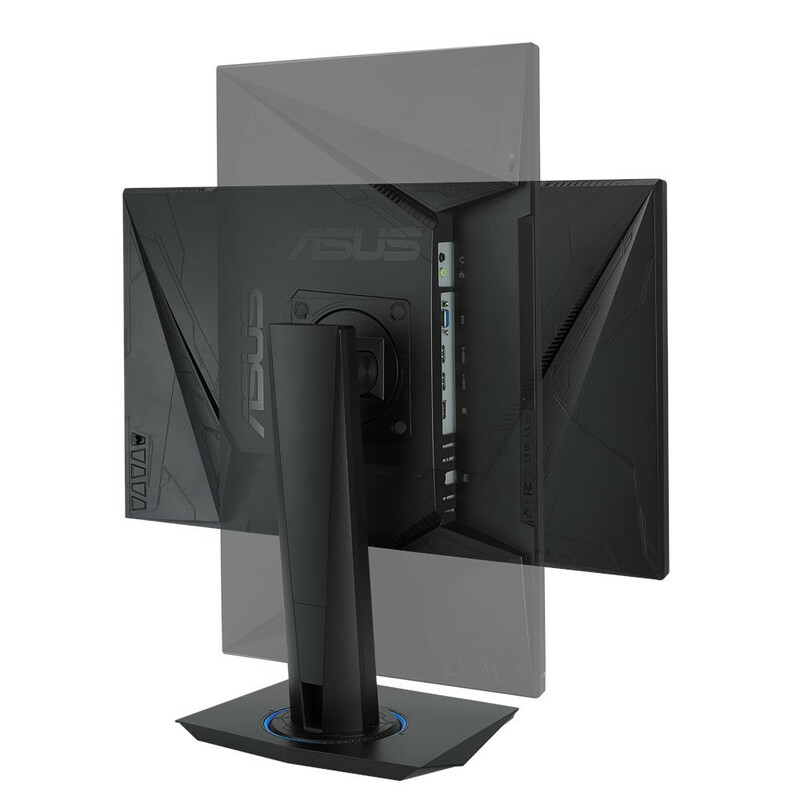 A 4 ms response time means reduced ghosting, and the panel also applies ASUS' version of Extreme Low Motion Blur mode, which strobes the LED backlight to lower persistence, much like a VR display. 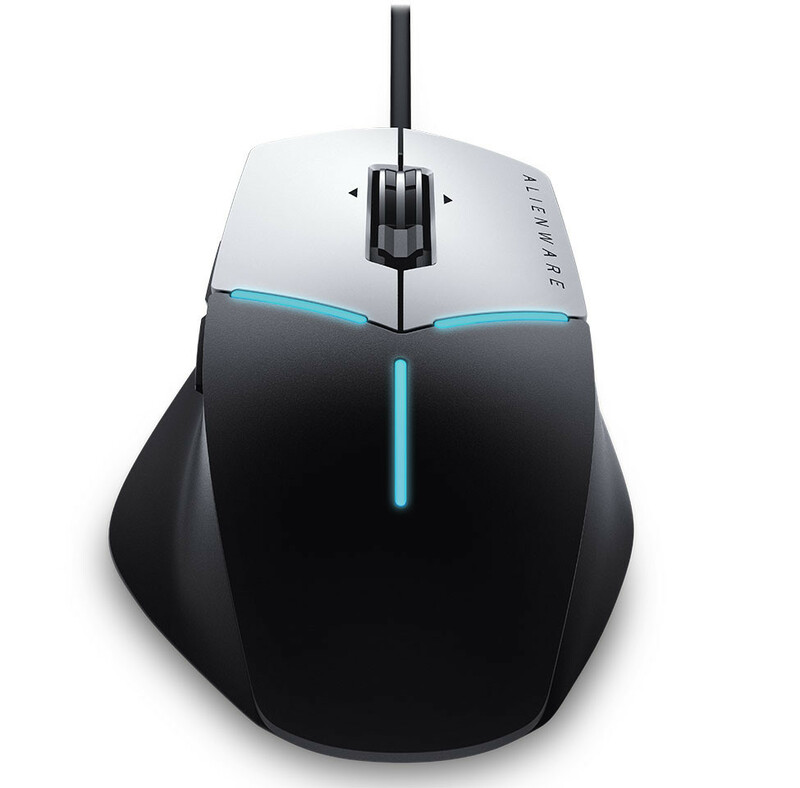 This mode uses a fixed refresh rate, so ASUS recommends it for fast-paced games where users can comfortably maintain high frame rates. The monitor delivers a 10-bit experience, through usage of an 8-bit panel that achieves 10-bit "virtual" color depth due to the usage of FRC technology. Brightness is a sore point for this one, though; at only 250 cd/m², it's one of the lowest we've seen recently, and definitely wouldn't allow for true display of HDR content - not even on AMD's somewhat relaxed 400 nits brightness requirement. 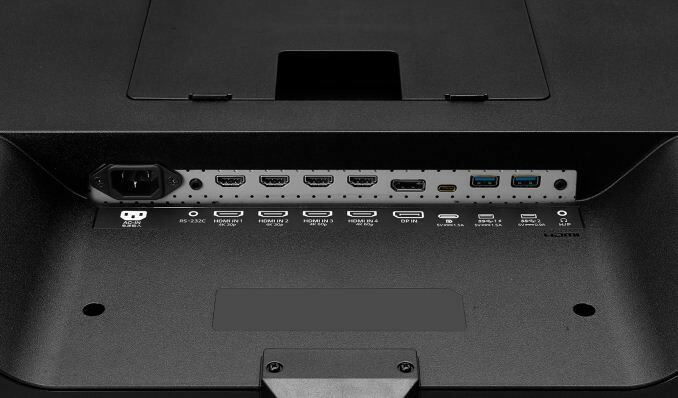 Display options include 1x VGA, 1x DVI Dual Link, 1x HDMI 1.4, and 1x DisplayPort 1.2. 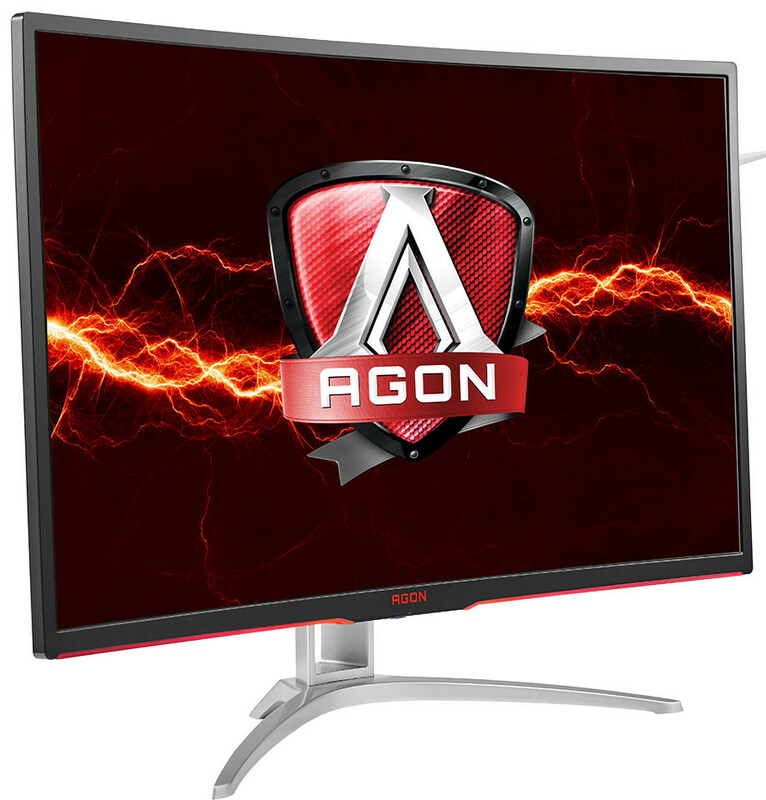 Expect this monitor to go on sale this November, with a MSRP of £249 (likely $299). 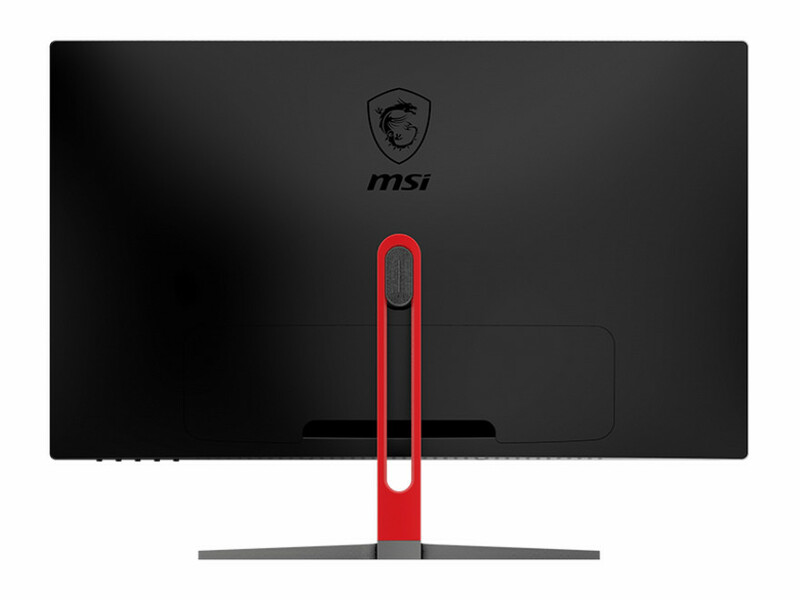 MSI today rolled out the Optix AG32C, a gaming-grade 32-inch (31.5-inch viewing area) monitor, with an 1800R curvature. 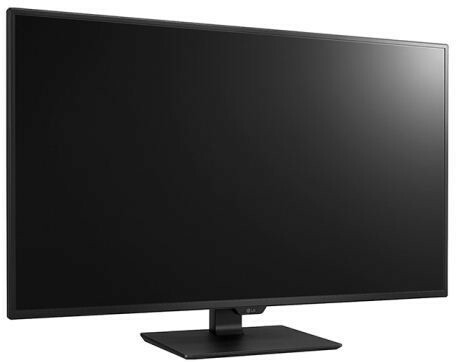 Despite its colossal panel size, the monitor only puts out Full HD (1920 x 1080 pixels) resolution. Lending to its gaming-grade credentials are 165 Hz maximum refresh-rate, 1 ms response time, and support for AMD FreeSync technology. Other vital specs include 178°/178° viewing angles, 3000:1 static contrast-ratio, and 250 cd/m² maximum brightness. Display inputs include HDMI 2.0, DisplayPort 1.2, and dual-link DVI. Other features include an anti-flicker brightness adjustment, OSD crosshairs, etc. The company didn't reveal pricing. 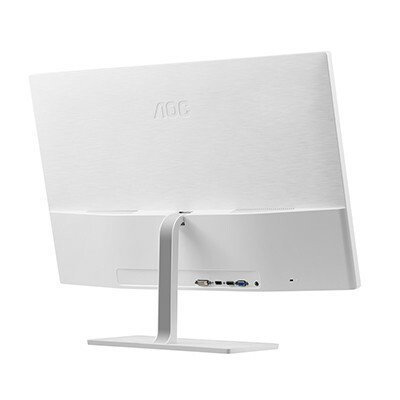 Acer has introduced a new monitor to its line of offerings which brings a particular attention to design. 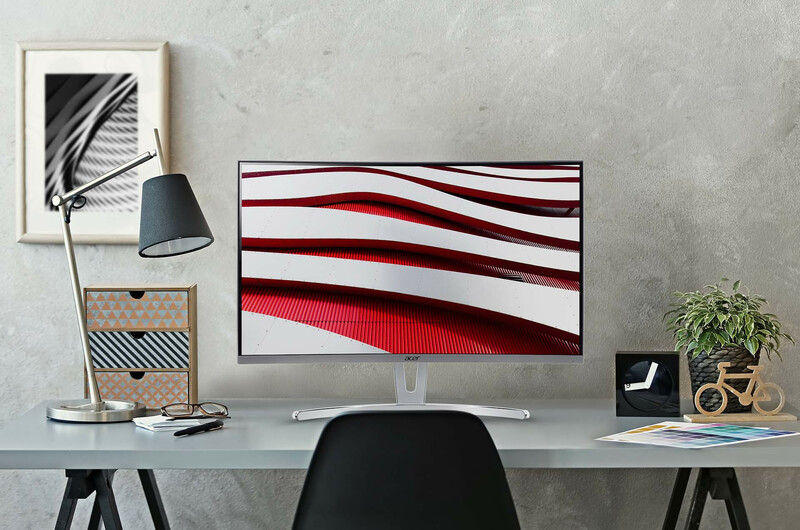 The ED273 monitor features an eye-catching white and silver design, which looks at one time bold and elegant, and offers an interesting mix of features for the average user. 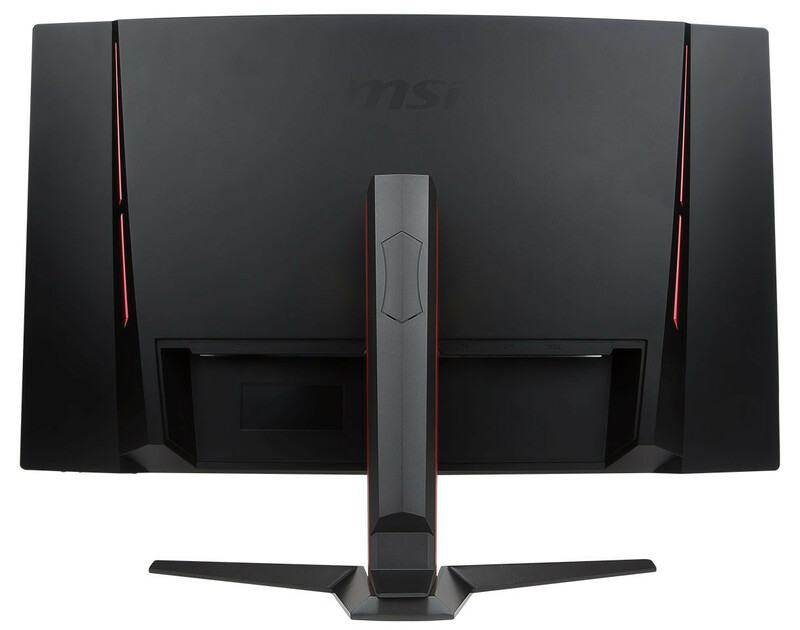 The panel is a 27" VA, 1800R curved panel, which offers 1080p resolution, 60 Hz refresh rate and a 4 ms response time. 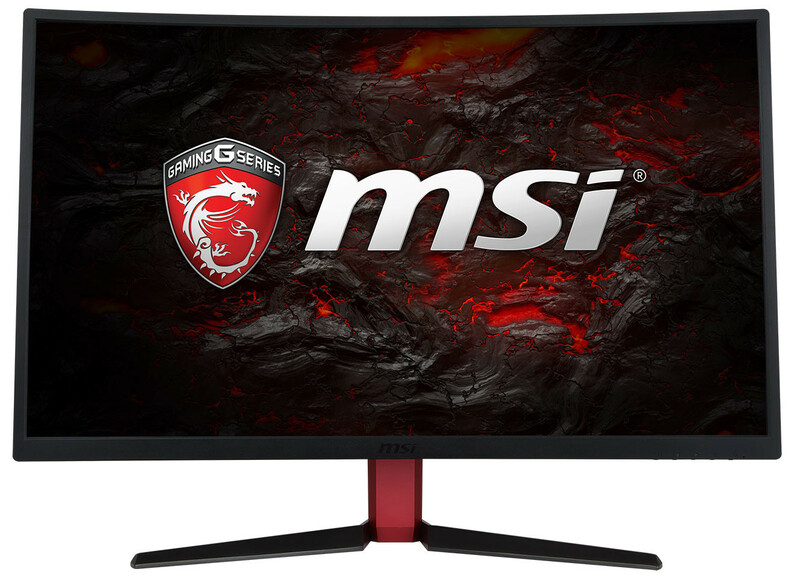 Pair this with support for AMD's FreeSync (which every monitor should carry nowadays anyway), and the ED273 materializes as an interesting option for users that don't require higher resolutions nor breakneck-speed frames. 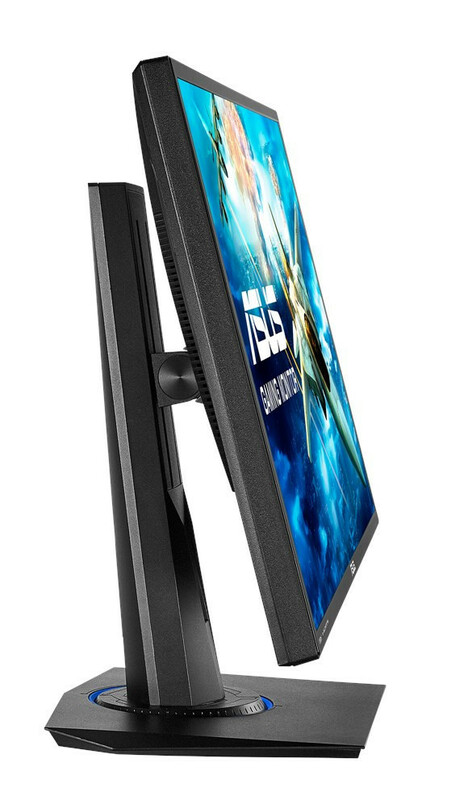 Being a VA panel, viewing angles stay at the usual 178 °, while brightness is a paltry 250 cd/m2, which means that users who expect to use this monitor in bright environments should be wary. Contrast ratio is being touted as a 1,000,000:1, and display interfaces include 1x DVI-D, 1x HDMI 2.0, 1x DisplayPort 1.2, and audio jacks. 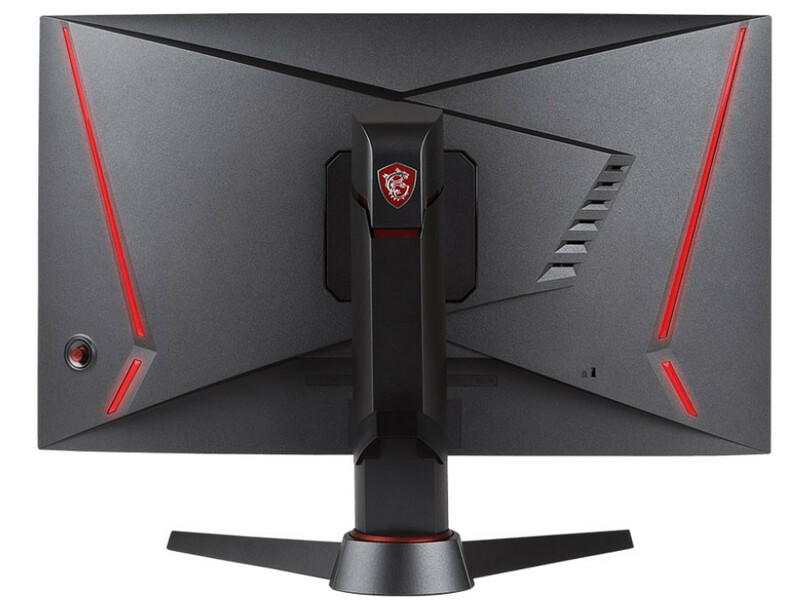 The Acer ED273 monitor is available from Newegg for $199. TweakTown has put forth an article wherein they claim to have received info from industry insiders regarding the upcoming Vega 56's performance. Remember that Vega 56 is the slightly cut-down version of the flagship Vega 64, counting with 56 next-generation compute units (NGCUs) instead of Vega 64's, well, 64. This means that while the Vega 64 has the full complement of 4,096 Stream processors, 256 TMUs, 64 ROPs, and a 2048-bit wide 8 GB HBM2 memory pool offering 484 GB/s of bandwidth, Vega 56 makes do with 3,548 Stream processors,192 TMUs, 64 ROPs, the same 8 GB of HBM2 memory and a slightly lower memory bandwidth at 410 GB/s. 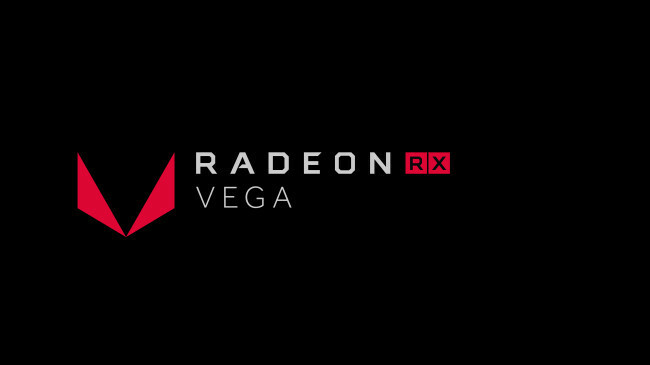 The Vega 56 has been announced to retail for about $399, or $499 with one of AMD's new (famous or infamous, depends on your mileage) Radeon Packs. 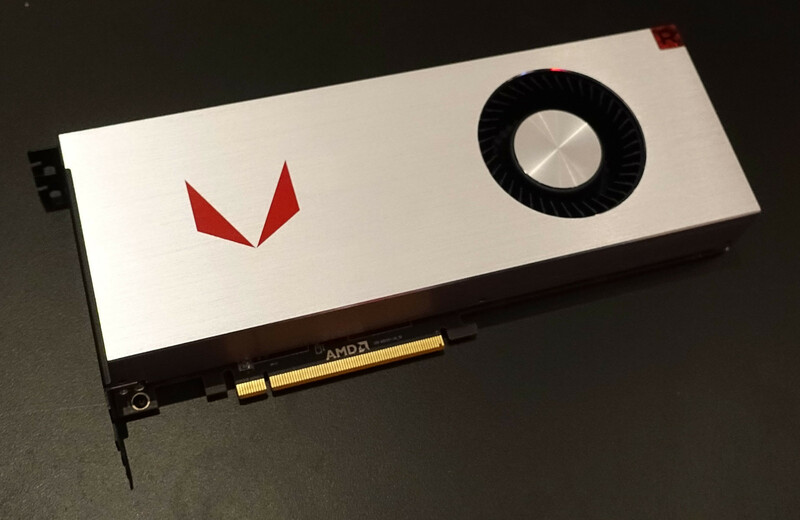 The RX Vega 56 card was running on a system configured with an Intel Core i7-7700K @ 4.2GHz, 16 GB of DDR4-3000 MHz RAM, and Windows 10 at 2560 x 1440 resolution. 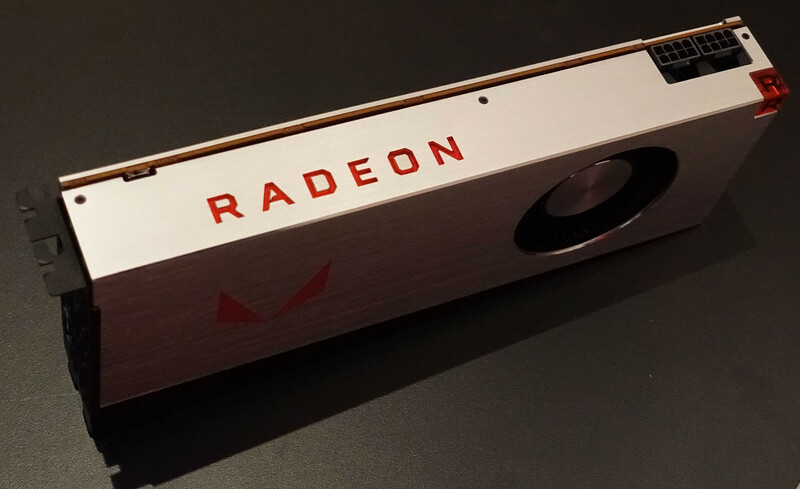 On the first stop in AMD's two-continent spanning RX Vega tour (which really only counts with three locations), the company pitted their upcoming RX Vega graphics card (we expect this to be their flagship offering) against NVIDIA's GTX 1080 graphics card. 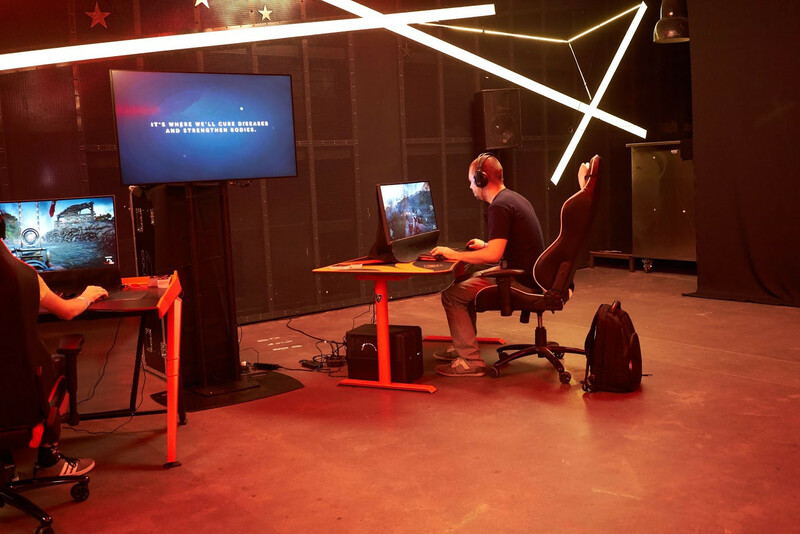 The event itself was pretty subdued, and there was not much to see when it comes to the RX Vega graphics card - literally. 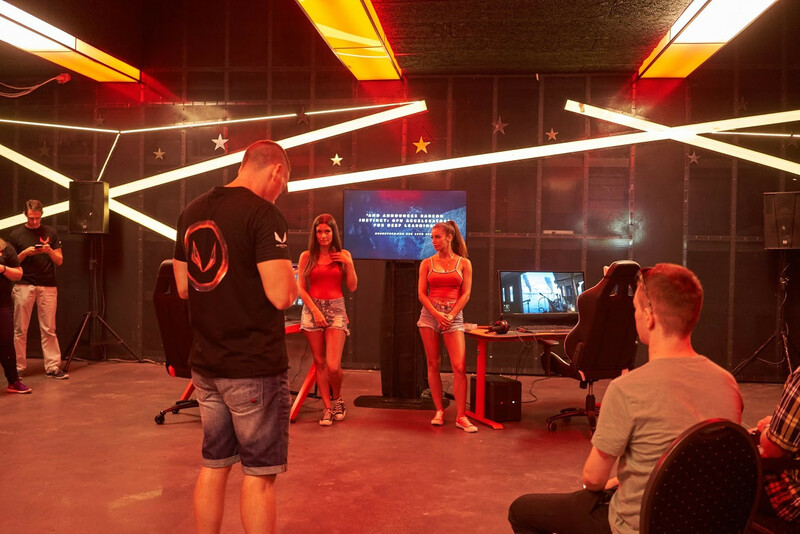 Both it and the GTX 1080 were enclosed inside PC towers, with the event-goers not being allowed to even catch a glimpse of the piece of AMD hardware that has most approximated a unicorn in recent times. AMD today released the latest version of Radeon Software Crimson ReLive Edition graphics drivers. 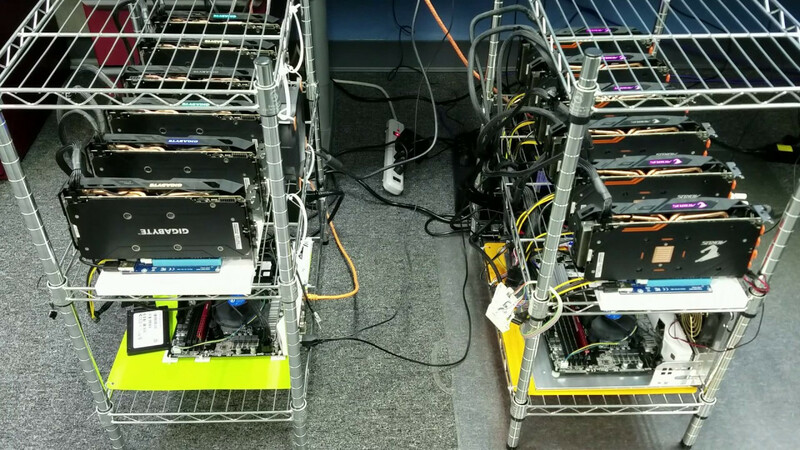 Version 17.7.1 Beta adds support for new crypto-currency mining SKUs based on Radeon RX 460 and RX 470; and RX 550 and RX 560. It fixes a"Tekken 7" application crash seen on R9 380 graphics cards; and crashes noticed on "FFXIV" and "Little Nightmares" on Radeon 300-series SKUs. 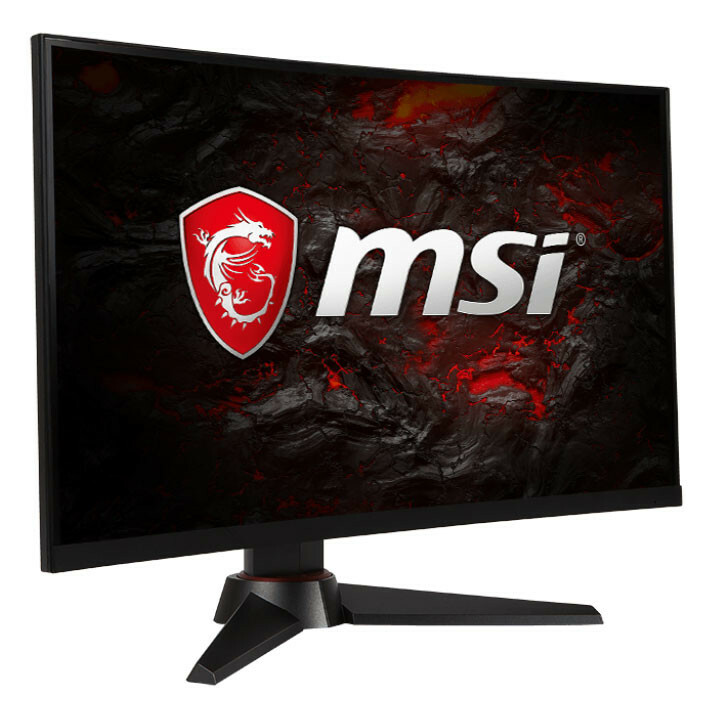 In addition, it addresses graphics corruption issues seen on "Rainbow Six Siege" when MSAA is enabled; borderless-fullscrreen incompatibility with FreeSync on some applications; and stuttering on some FreeSync setups running Counter-Strike: Global Offensive and World of Warcraft. Grab the drivers from the link below. An update to the Steam survey results is always worth noting, especially with the added, tremendous growth Valve's online store service has seen recently. 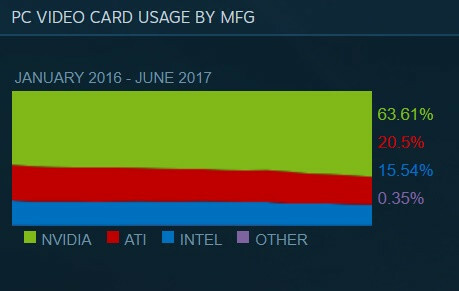 And it seems that in the Steam gaming world at least, quad-core CPUs, NVIDIA graphics cards, and Windows 10 reign supreme. Windows 10 64-bit is the most used operating system, with 50.33% of the survey. That the second most used Windows OS is the steady, hallmark Windows 7 shouldn't come as a surprise, though it does have just 32.05% of the market now. 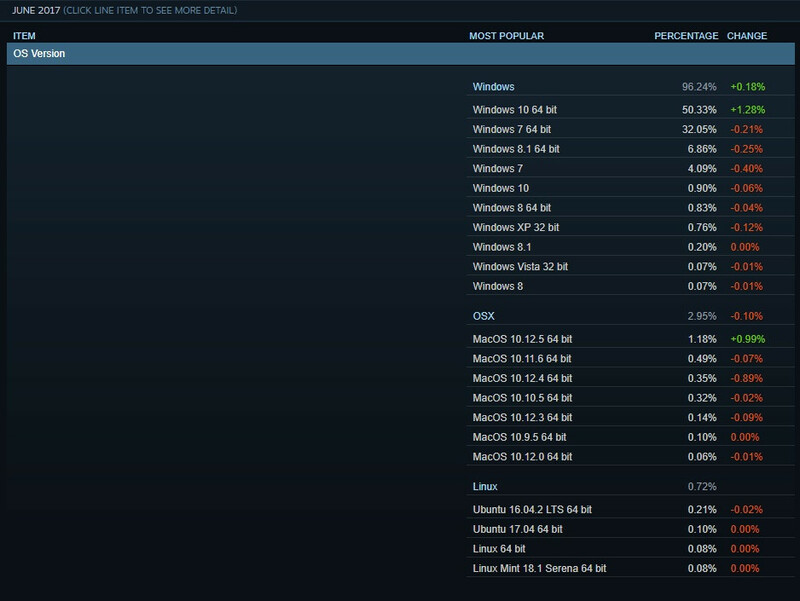 OS X has a measly 2.95% of the grand total, while Linux comes in at an even lower 0.72%. 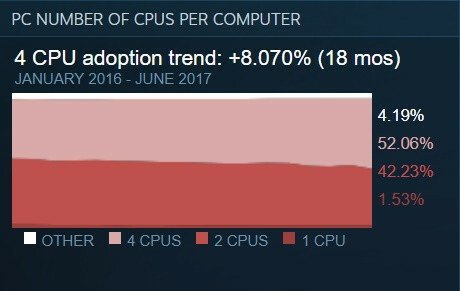 While AMD processor submits may have increased in other software, it seems that at least in Steam, those numbers aren't reflected, since AMD's processor market share in the survey has decreased from 21.89% in February to just 19.01% as of June, even though the company's Ryzen line of CPUs has been selling like hotcakes. Quad-core CPUs are the most used at time of the survey, at 52.06%, while the next highest percentage is still the dual-core CPU, with 42.23%. 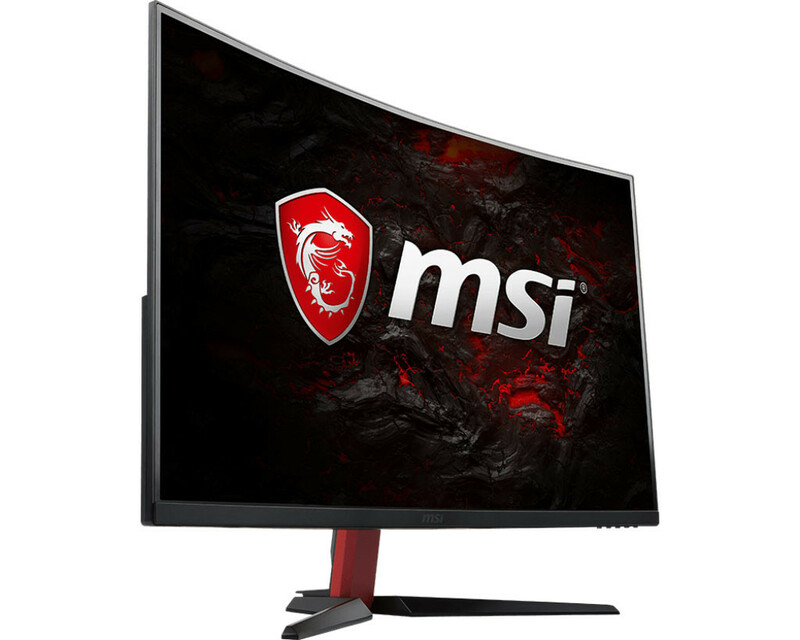 MSI unveiled some of its first gaming monitors, under the MSI OPTIX brand. 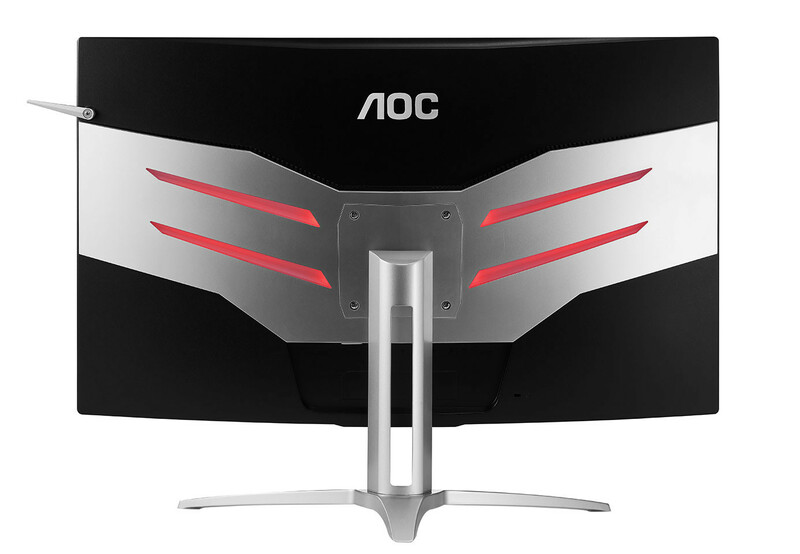 These include two models, the 27-inch OPTIX G27C, and the 24-inch OPTIX G24C. 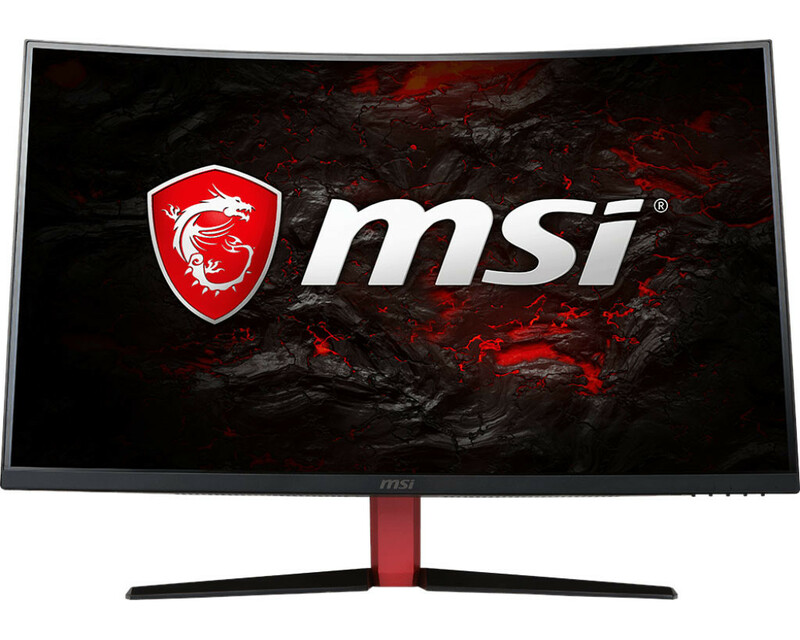 Both models feature Samsung-made TN-film display panels with 1800R curvature, Full HD (1920 x 1080 pixels) resolution, 144 Hz refresh-rate, 4 ms (GTG) response time, 178°/178° viewing-angles, and support for AMD FreeSync technology. Display inputs on both include DisplayPort 1.2a, HDMI 1.4a, and DVI. The 24-incher features a simpler design with a stand that allows basic height adjustment, while the 27-incher allows tilt adjustments. The company didn't reveal pricing. 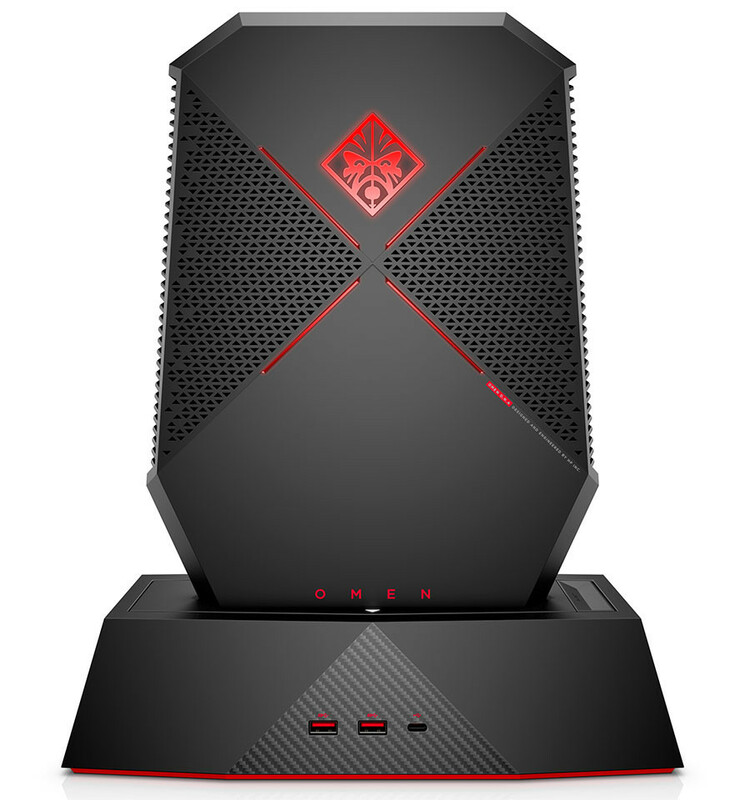 Alienware and Dell head into this year's E3 with a triad of new PC gaming systems and components - high-end Alienware gaming desktops with new multi-core processor options, a full range of performance gaming monitors and peripherals with Alienware's signature design and a new Dell Inspiron Gaming Desktop bringing VR to all. 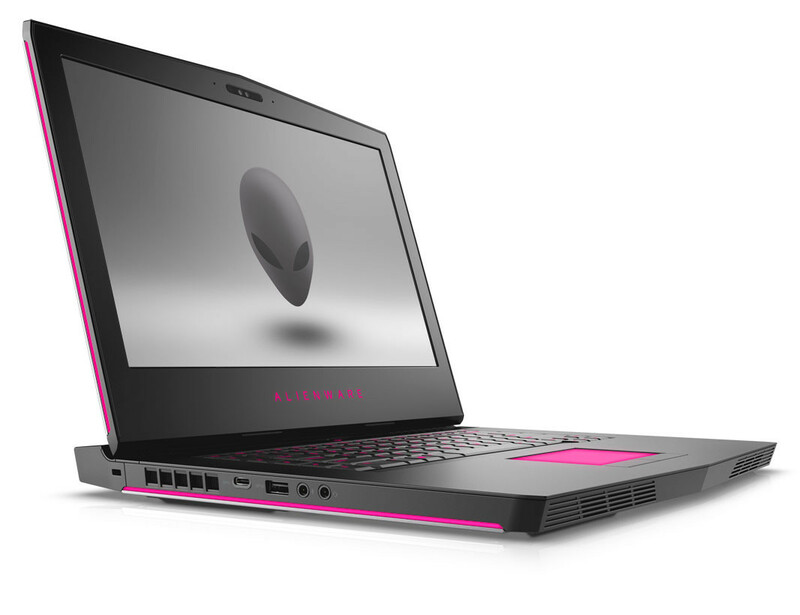 Alienware and Dell continue to demonstrate why, together, they have become a leading PC gaming brand worldwide with gaming solutions for players of all levels and budgets. 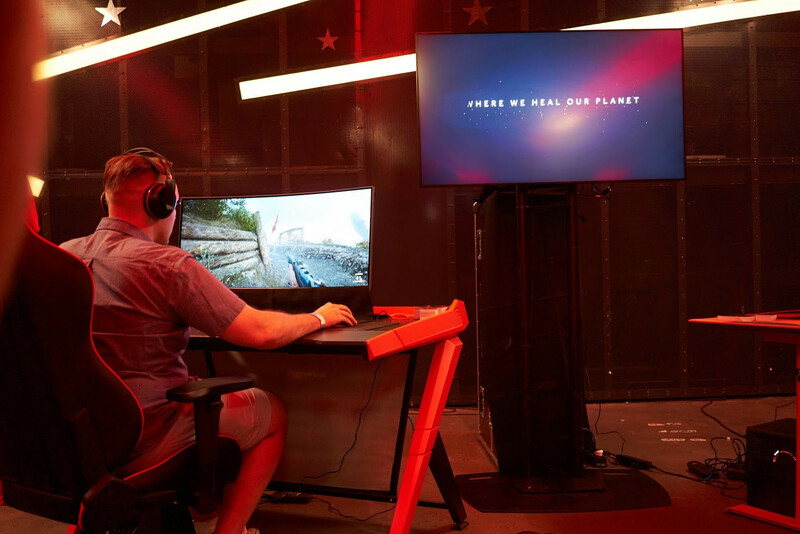 Driven by a fierce commitment to deliver what PC gamers want in gaming products and community, Alienware and Dell continues to make solid investments in PC gaming, virtual reality and esports through ever-expanding offerings and partnership innovation. This has stoked an incredible 17 consecutive quarters of PC growth*, continuously innovating with PC performance and designs, both in the realm of gaming, VR and beyond. 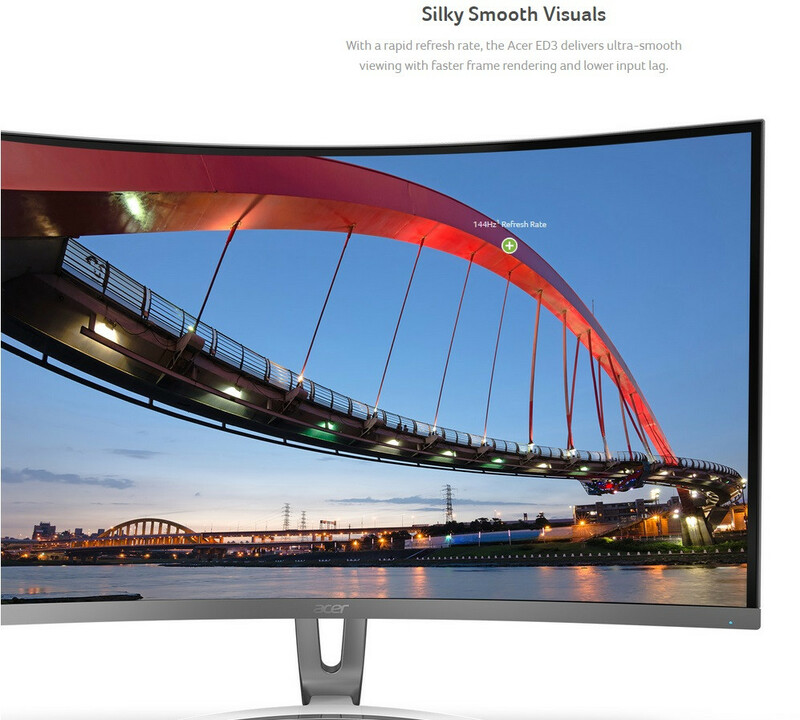 Remember that post on Samsung's investment on 32:9 aspect ratio monitors? 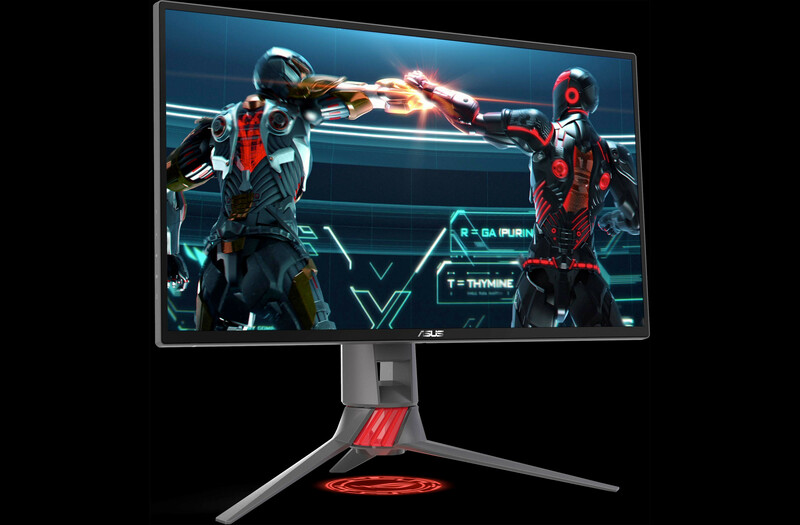 The company has just materialized them, with the announcement of their 2017 flagship FreeSync 2 supporting monitors, which come in two different models and three different sizes. Samsung announced a world's first, the CHG90 QLED monitor, which leverages its alien 49" towards displaying a 32:9 presentation. That's what Samsung is calling a DFHD (Dual Full HD) screen, with a 3840x1080 resolution. 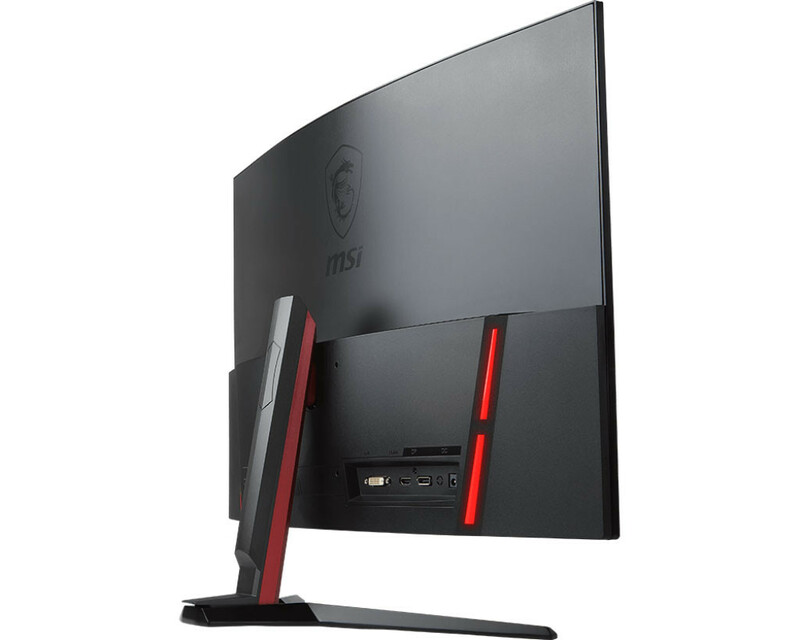 This panel supports FreeSync 2, HDR, wide 178-degree viewing angles, and the now usual 1800R curvature, with blazingly-fast 144 Hz refresh rates and 1 ms response times. 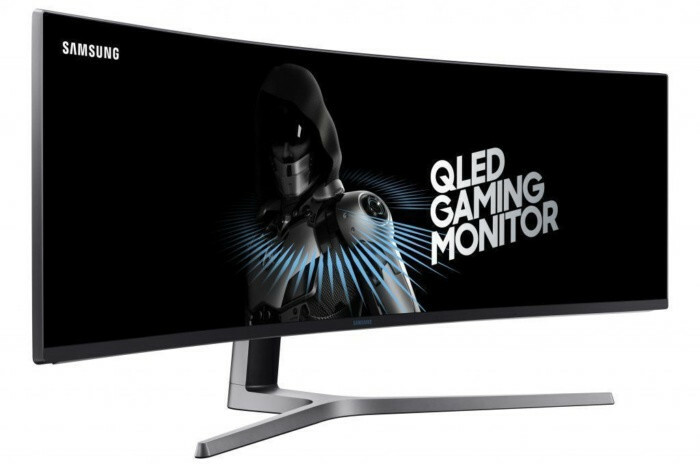 At the same time, Samsung also announced the somewhat more mundane CHG70 QLED monitor, which comes in at either 27" or 31,5". 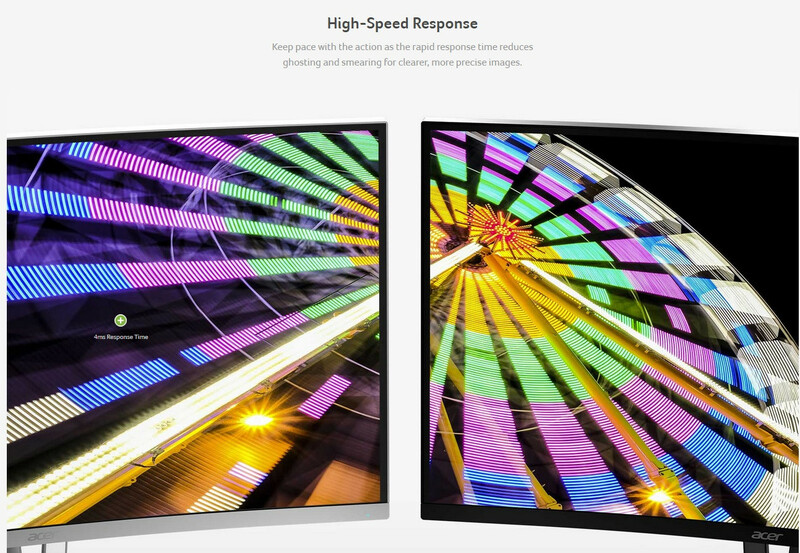 Whatever your choice of panel size, these are essentially the same specs-wise, and differ little from the CHG90: they offer WQHD resolution (2560x1440), HDR, FreeSync 2, wide 178-degree viewing angles, and the now usual 1800R curvature, along with blazing-fast 144 Hz refresh rates and 1 ms response times. 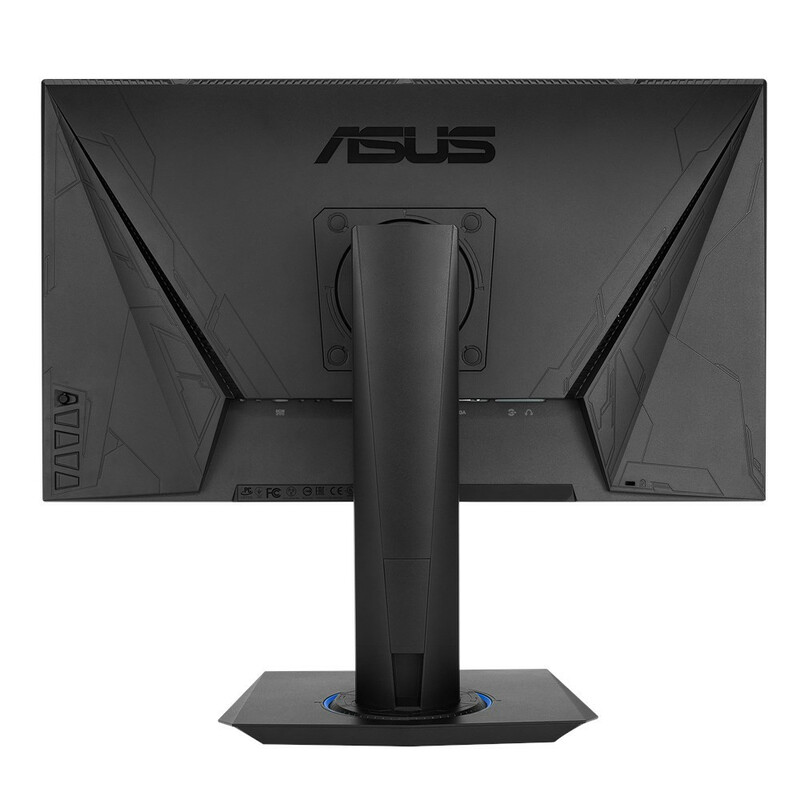 Starting with the flagship Strix monitor, the ASUS Strix XG32V has a 31.5" IPS panel with a WQHD resolution of 2560 x 1440. 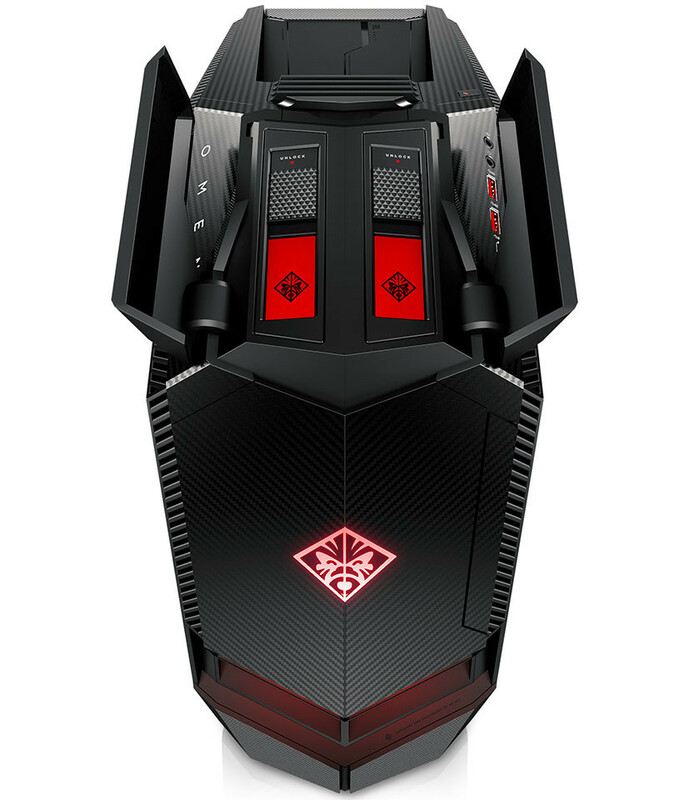 It's curved, so it envelops your FOV better, with the usual 1800R curve. This model can handle refresh rates of up to 144Hz, though readers looking to jump at this panel as we speak should wait for both Freesync range and pricing announcements. Connectivity-wise, we're looking at 2x DisplayPort 1.2, 1x HDMI 2.0, and an os yet unknown amount of USB 3.0 ports. 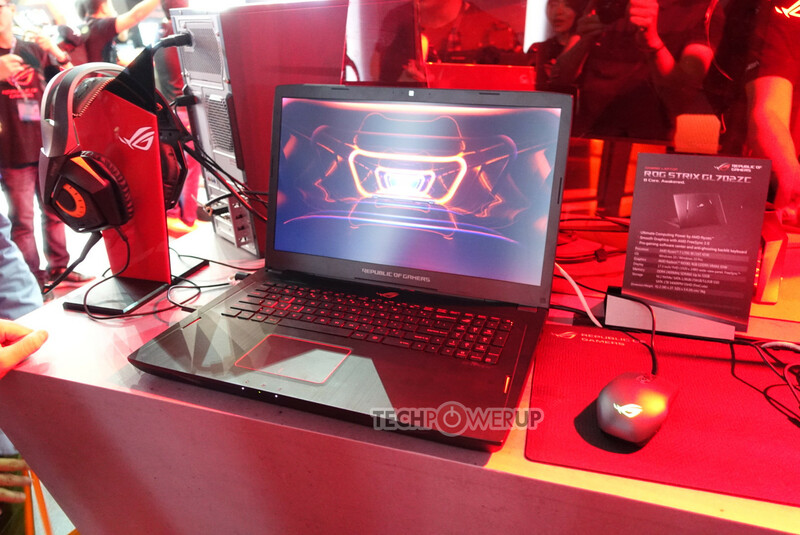 ASUS has also added the inevitable Aura Sync lighting to the XG32V, materialized on both a ROG logo that shines down onto the desk, as well as an RGB LED suite on the back of the unit that can be synchronized with other Aura Sync-enabled PC components and peripherals. 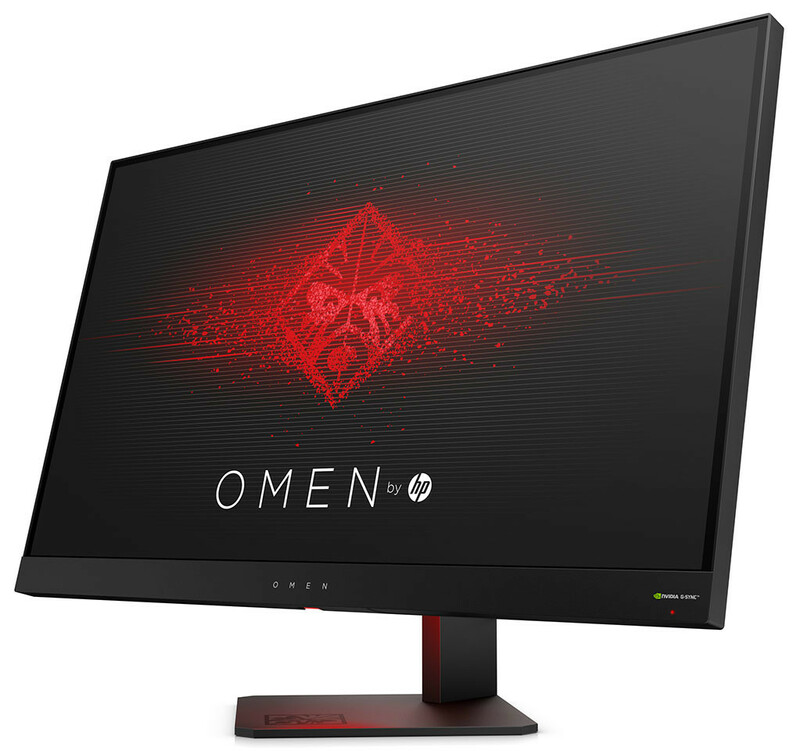 Today, HP Inc. unleveled the playing field with the launch of an entirely new, cutting-edge and comprehensive portfolio of OMEN by HP gaming products. 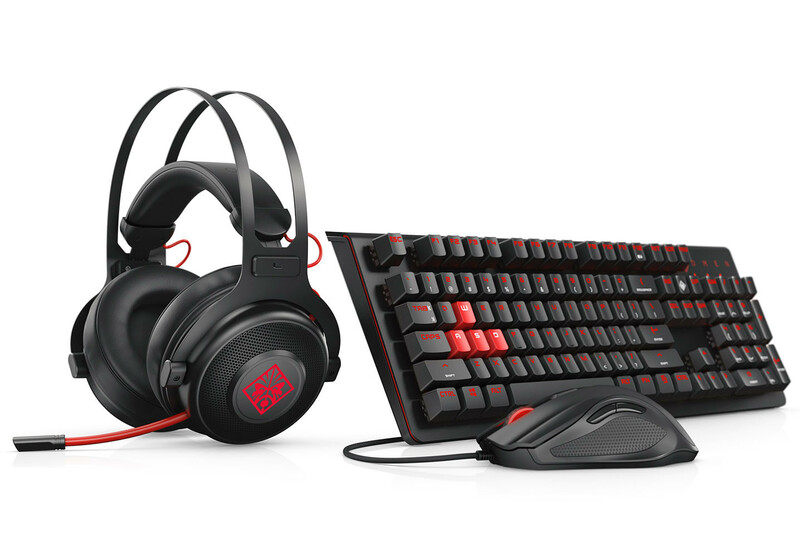 Re-designed and re-engineered from the ground up, the new lineup gives esports athletes and competitive gamers the edge and confidence needed to perform at the highest global level. 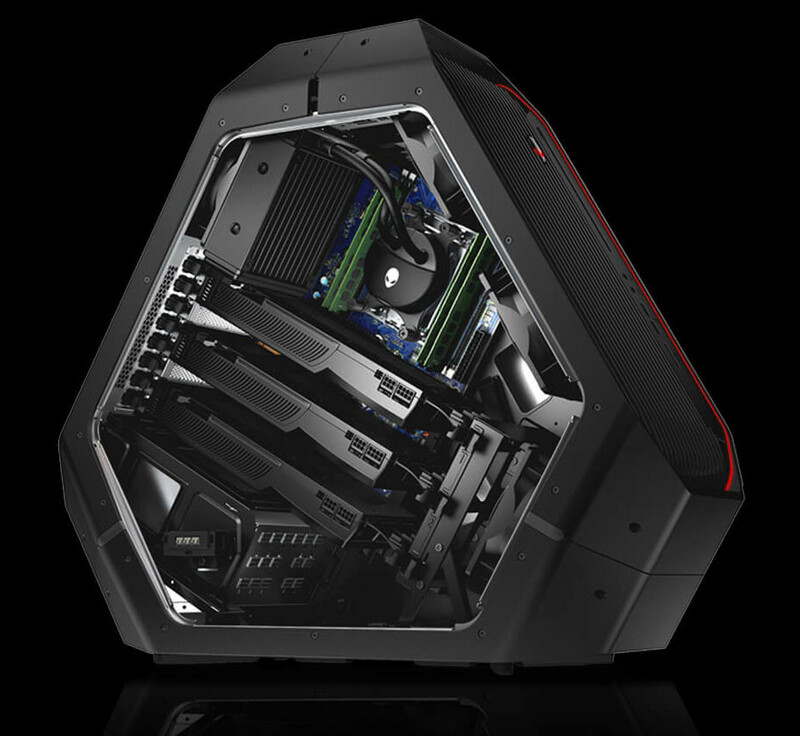 Every inch inside and out of the new OMEN PCs, displays and accessories are packed with features designed to target the needs of gamers around the world, instantly changing the game like never before. 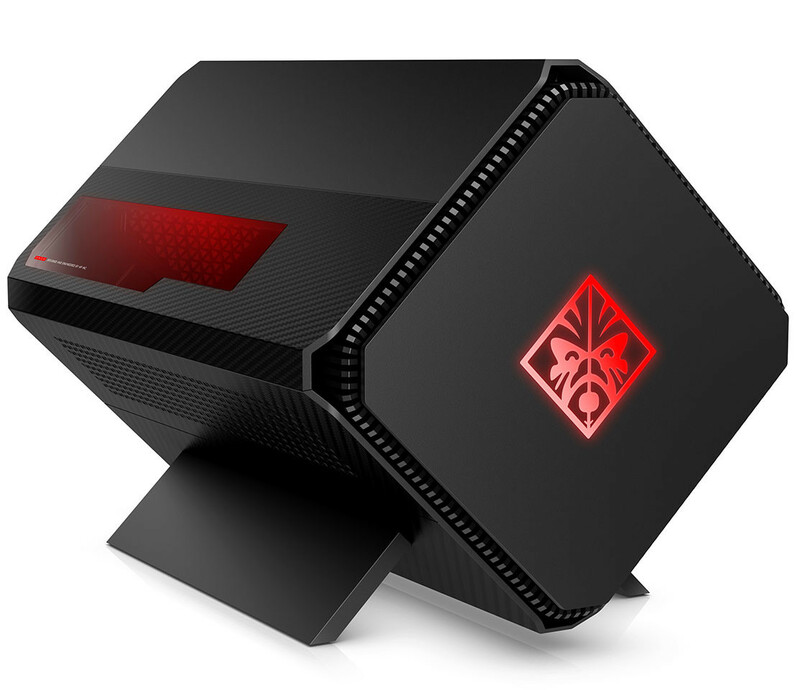 The OMEN X Compact Desktop provides a factory-overclocked GPU from NVIDIA and a versatile form-factor, creating the ability to dock and undock quickly for gaming in any room, or attach the desktop to a backpack accessory for an unparalleled, untethered VR experience. 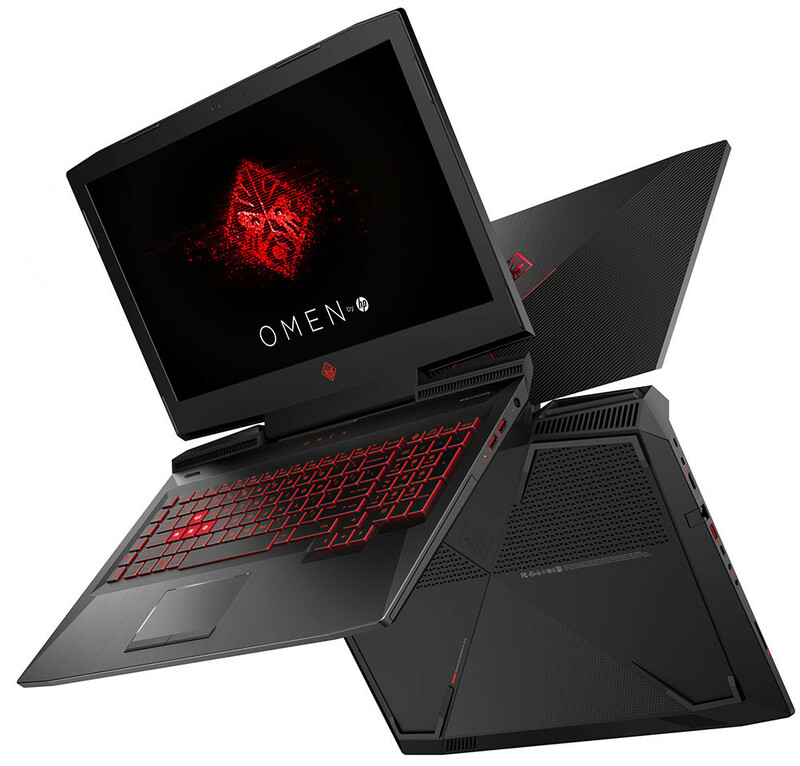 The addition of a backpack accessory to the OMEN X Compact Desktop adds a new dimension of flexibility to the platform, and by expanding the OMEN accessory lineup with a new OMEN mechanical keyboard, a mouse with weight customization, a headset with cushioned ear cups to reduce background noise and mousepads designed for precision, HP is bringing attention to every aspect of the gaming experience. 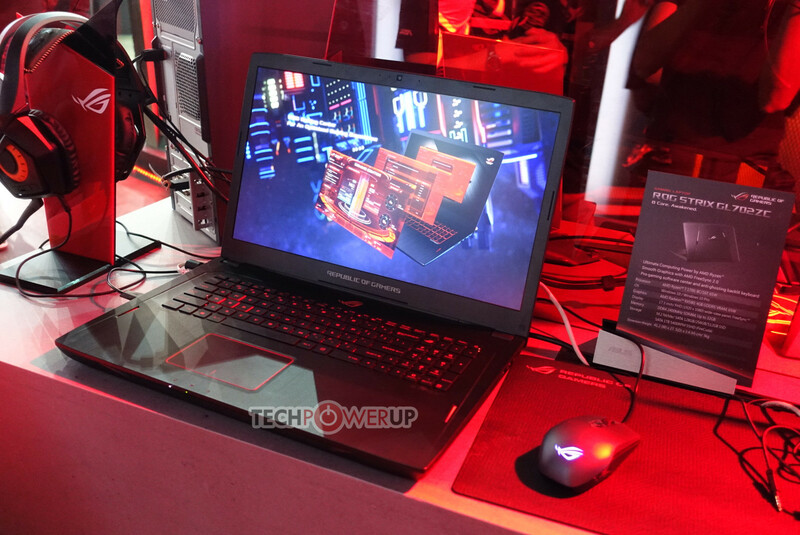 At Computex 2017, ASUS showcased the first Ryzen-powered laptop, which the company had already teased a while back. 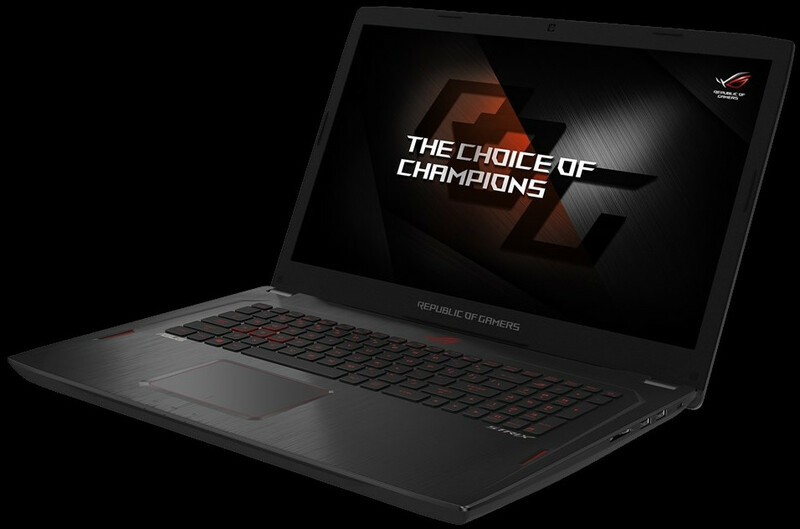 The STRIX brings to an end a period of lacking competition in the laptop space; before this, if you wanted a high-performance gaming (or even professional-grade) laptop, you went with one with an Intel processor inside, or not at all. AMD is back in the fold, and Ryzen was the one who rose to the challenge. 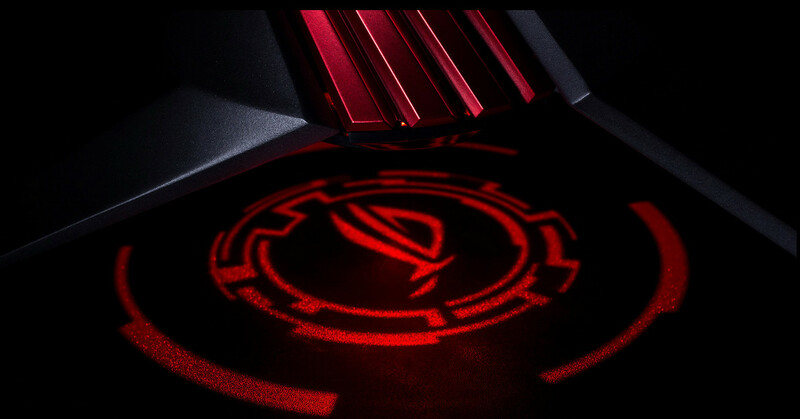 The ROG STRIX GL702ZC packs a Ryzen 7 1700 8-core, 16-thread CPU; the absence of an X there isn't a typo, considering AMD themselves say the company's XFR (eXtended Frequency Range) is meant to accelerate CPU speeds under the right thermal conditions (and headroom), which a laptop almost surely wouldn't have.) This is a full desktop CPU (and I stress, an 8-core, 16-thread one) running inside a laptop. And this laptop dresses itself fully in red, with the graphics workhorse being an RX 580. The RX 580 is a great 1080p card, so it will feel right at home on the ROG STRIX GL702ZC's 17.3", 1080p IPS panel with FreeSync support. Let's just hope this is the first in a wave of AMD-powered laptops. We'll be here to see what happens with Ryzen-based APUs closer to the end of the year. 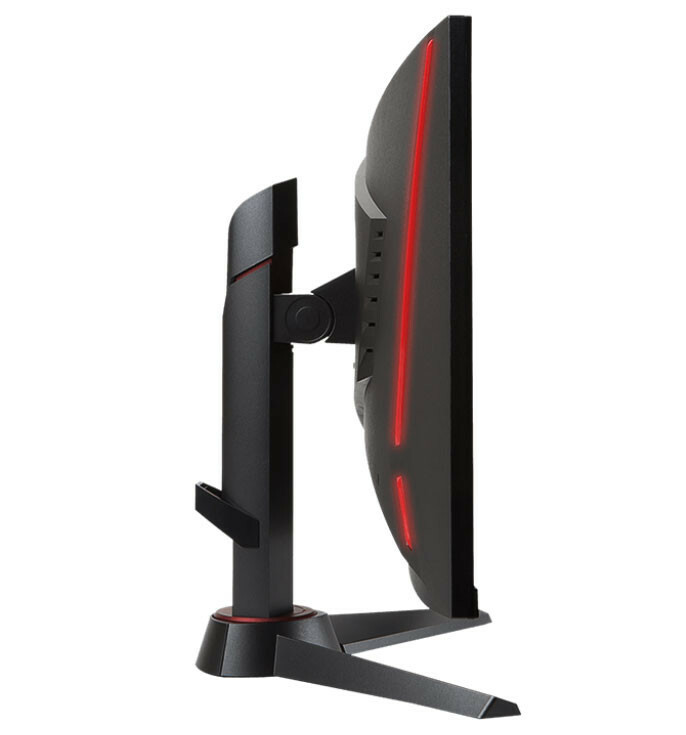 ASUS introduced the VG275Q, a "cost-effective" 27-inch gaming-grade monitor. 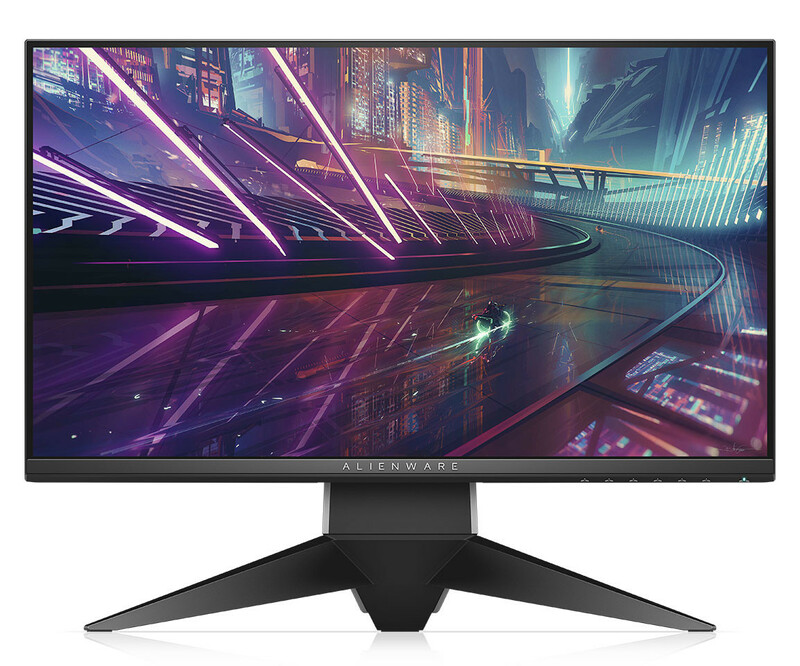 Its Full HD (1920 x 1080 pixels) native resolution and TN-film panel are nothing to write home about, but you get 1 ms response time, 75 Hz refresh-rate, game-type display presets, and AMD FreeSync support. Other panel specs include 170°/160° (H/V) viewing angles, 300 cd/m² maximum brightness, rheostatic (non-PWM) method of controlling LED brightness, making it flicker-free, blue-light reduction, and a maximum power draw of just 40W. 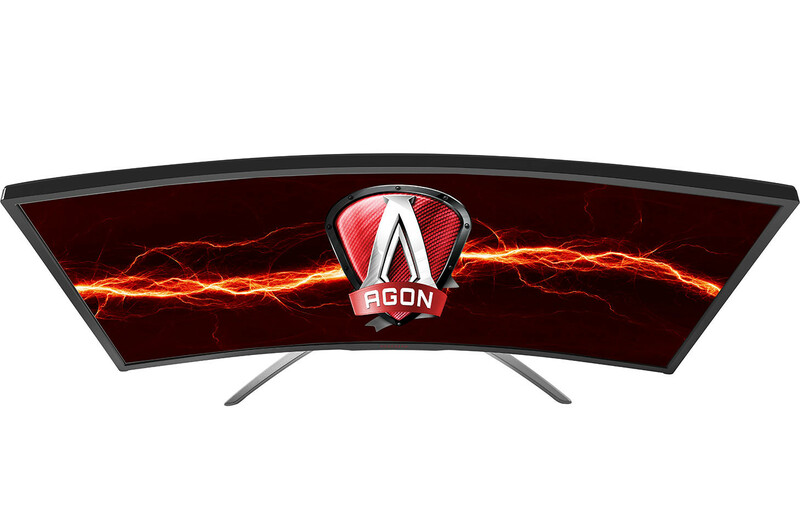 Inputs include one DisplayPort 1.2a (needed for FreeSync), two HDMI 1.4a, and D-Sub. The stand allows height, tilt, and 90° rotation. 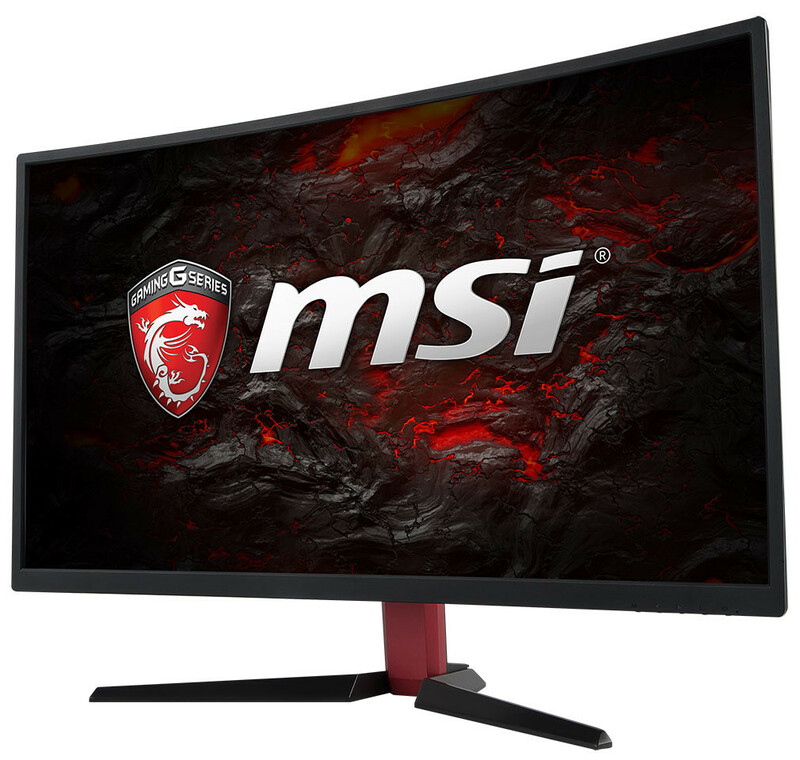 The monitor is expected to be priced around $300. 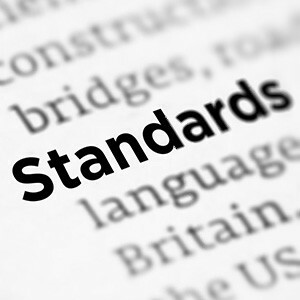 The Video Electronics Standards Association (VESA) has recently announced plans to form a special working group within its ecosystem, whose mission will be to develop standards for XR (eXtended Reality) products and development. XR envelops both VR (Virtual Reality) and AR (Augmented Reality), and VESA has apparently had enough of differing vendor implementations. According to VESA, "the lack of standardization is causing compatibility issues between products from different vendors, as well as increasing the complexity and cost of development, ownership and replacement. Lack of compatibility can also create confusion for end users and impede broader acceptance of AR/VR products." Considering the XR market's value is expected to hit roughly $162 billion dollars by 2020, we can certainly see how "compatibility issues" and "lower acceptance of AR/VR products" could affect what is looking to be an extremely lucrative market. 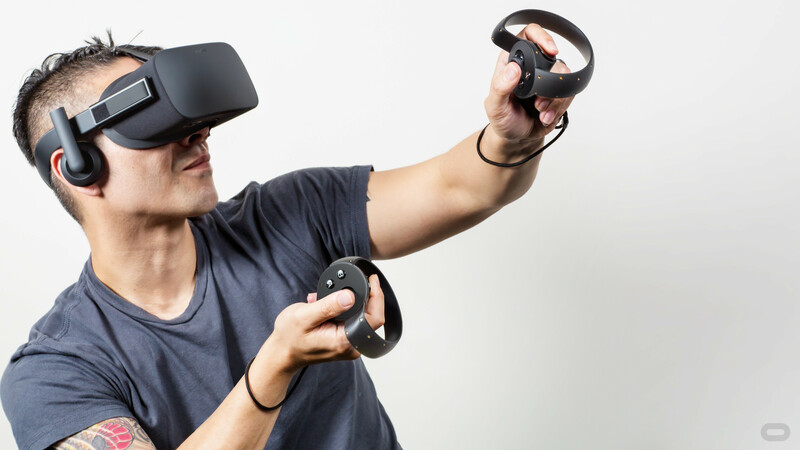 Let's just gloss over the fact (slightly paradoxical, actually) that we're now looking at two different XR standards groups, VESA's newly-announced initiative, and Khrono's OpenXR. 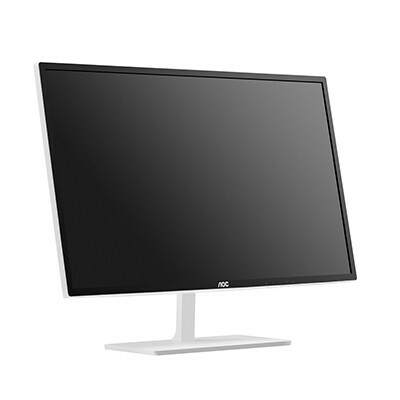 LG is looking to launch what seems to me one of the most well-rounded monitors for our use cases, with the LG 43UD79-B. Barring the enormous size of the monitor (I for one don't think a 43" on my desk would be the best way of going around computing), this monitors ticks almost all the boxes. 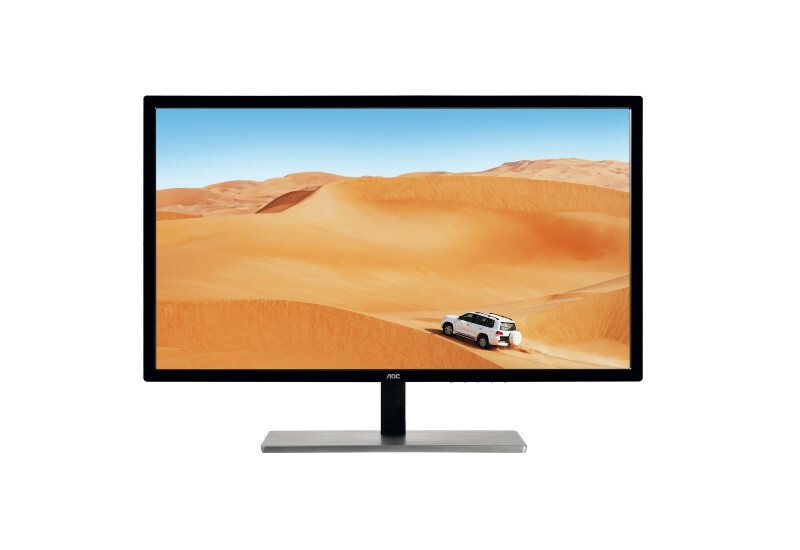 It features 4K resolution (3840 x 2160) and an IPS panel with non-glare coating, which delivers a peak brightness of 350 cd/m2, a contrast ratio of up to 1000:1, and an 8 ms gray-to-gray (GTG) response time, which is the only sour point I see here (though it's still miles ahead of most 4K television sets.) The panel ticks on at 60 Hz, which, let's face it, is probably right for the resolution your graphics card will have to be driving anyway. The presence of Freesync here is mighty welcome indeed, ensuring you can make the most of those 60 FPS. LG mention support for 1.07 billion colors which come factory-calibrated, but the absence of any information regarding this being a 10-bit panel (which manufacturers naturally jump towards marketing) probably indicates this is actually an 8-bit panel using A-FRC to achieve a 10-bit color depth. In an AMA (ask me anything) session with Tom's Hardware community, AMD desktop processor marketing exec Don Woligrosky answered a variety of AMD Ryzen platform related questions. He did not shy away from making a key comment about the company's upcoming high-end graphics card, Radeon Vega, either. "Vega performance compared to the Geforce GTX 1080 Ti and the Titan Xp looks really nice," Woligrosky stated. This implies that Radeon Vega is in the same league of performance as NVIDIA's two top consumer graphics SKUs, the $650 GeForce GTX 1080 Ti, and the $1,200 TITAN Xp. It is conceivable that AMD's desktop processor marketing execs will have access to some privileged information from other product divisions, and so if true, this makes NVIDIA's recent memory speed bump for the GTX 1080 a failed gambit. NVIDIA similarly bumped memory speeds of the GTX 1060 6 GB to make it more competitive against the Radeon RX 580. Woligrosky also commented on a more plausible topic, of the royalty-free AMD FreeSync becoming the dominant adaptive v-sync technology, far outselling NVIDIA G-Sync. AMD today released its Radeon Software Crimson ReLive Edition 17.4.1 drivers. These drivers add support for Oculus Asynchronous Spacewarp (ASW) on Radeon R9 Fury series, Radeon R9 390 series and Radeon R9 290 series graphics cards; and support for SteamVR Asynchronous Reprojection on Radeon RX 480 and Radeon RX 470 (requires Windows 10). The drivers also enable DisplayPort 1.4 HBR3 mode on GPUs based on the "Polaris" architecture, letting you run 8K @ 60 Hz over a dual-cable connection, and 8K @ 30 Hz over a single cable. The drivers also fix display fickering noticed on AMD FreeSync setups running 3D applications in borderless-fullscreen mode, and bad multi-GPU scaling in "Ghost Recon: Wildlands." Grab the drivers from the link below. 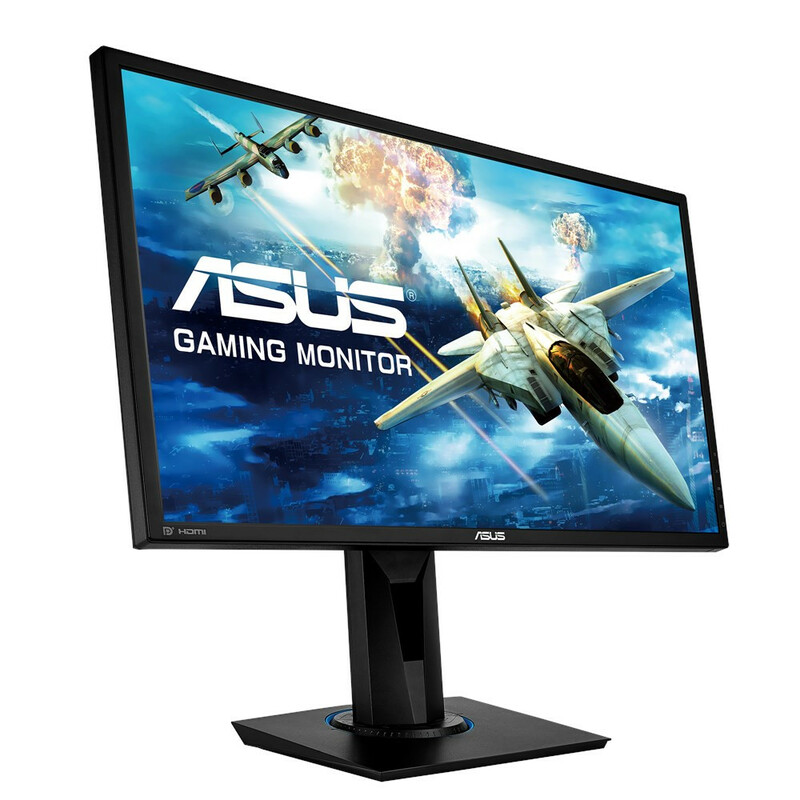 ASUS introduced the VG245Q, a 24-inch gaming-grade monitor targeting a sub-$250 price point. 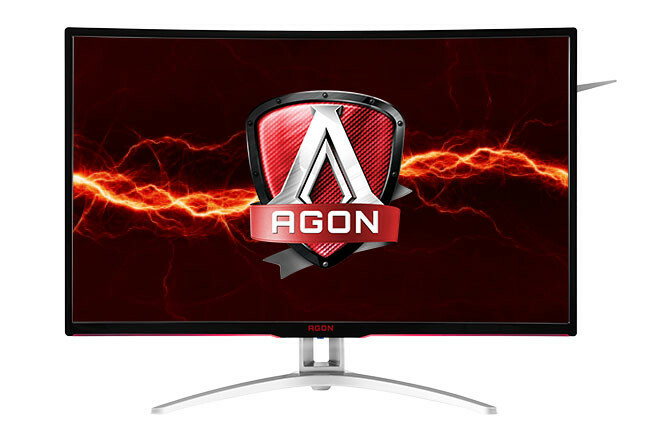 This monitor comes with 1 ms response time (GTG), and support for AMD FreeSync technology. Under the hood is a TN-film panel with Full HD (1920 x 1080 pixels) resolution, 250 cd/m² maximum brightness, 170°/160° viewing angles (H/V), and flicker-free LED brightness adjustment. 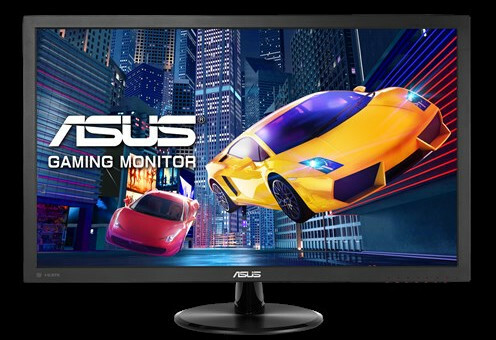 The monitor comes with display presets optimized for the various genres of gaming (racing sims, RTS, RPG, FPS, etc). 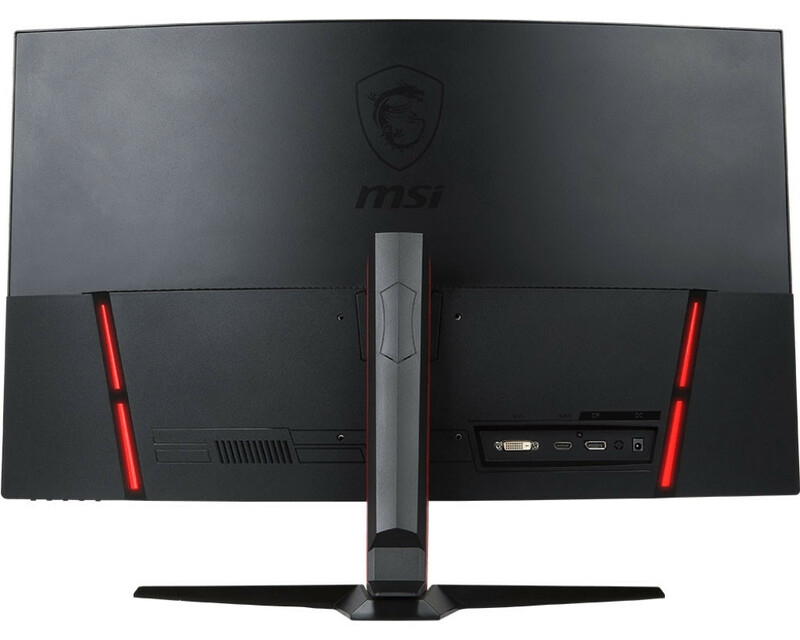 Inputs include one DisplayPort 1.2a (required for FreeSync), two HDMI 1.4a, and one D-Sub.